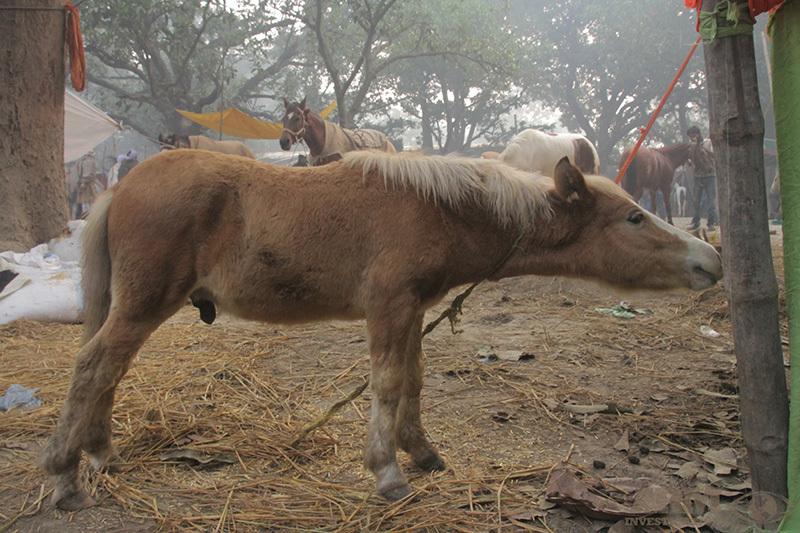 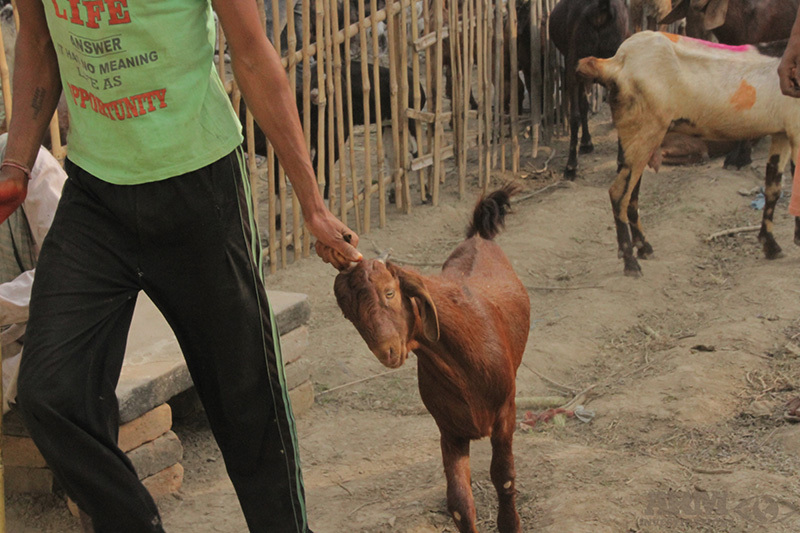 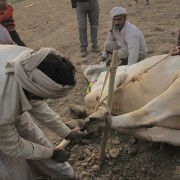 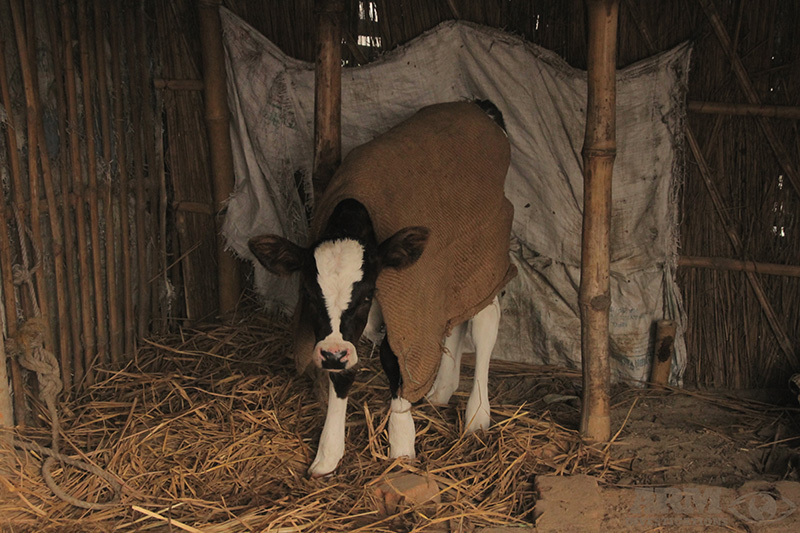 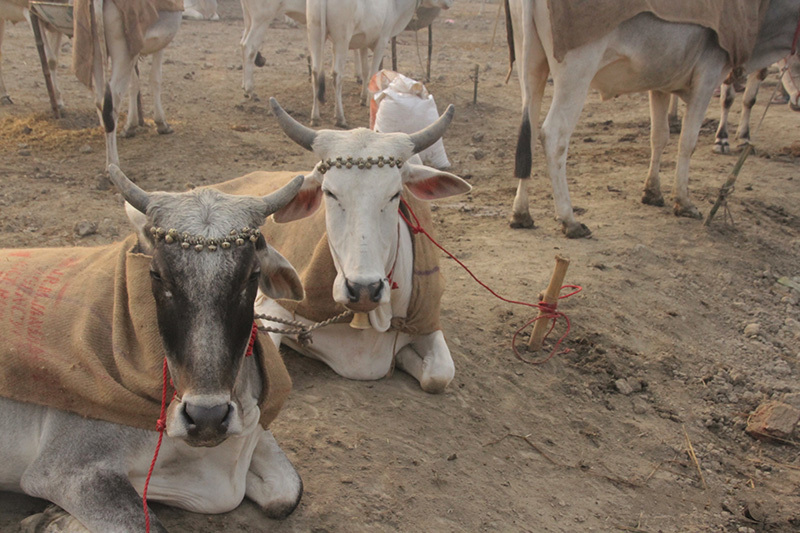 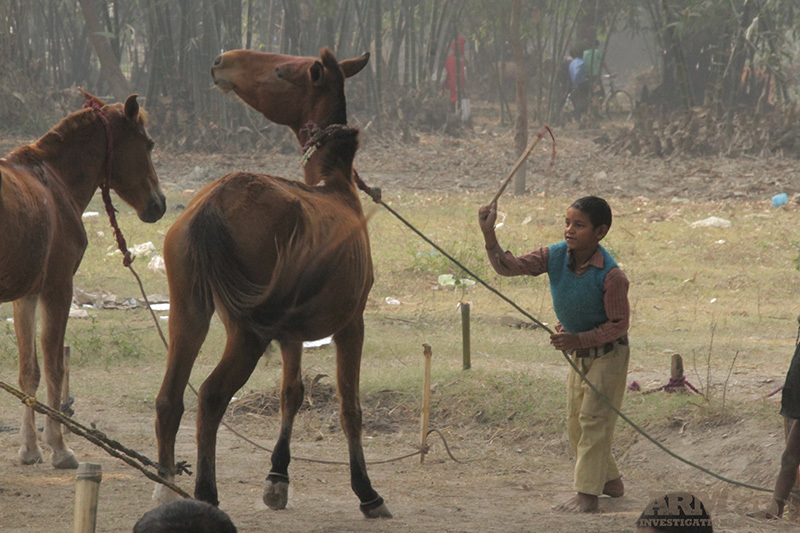 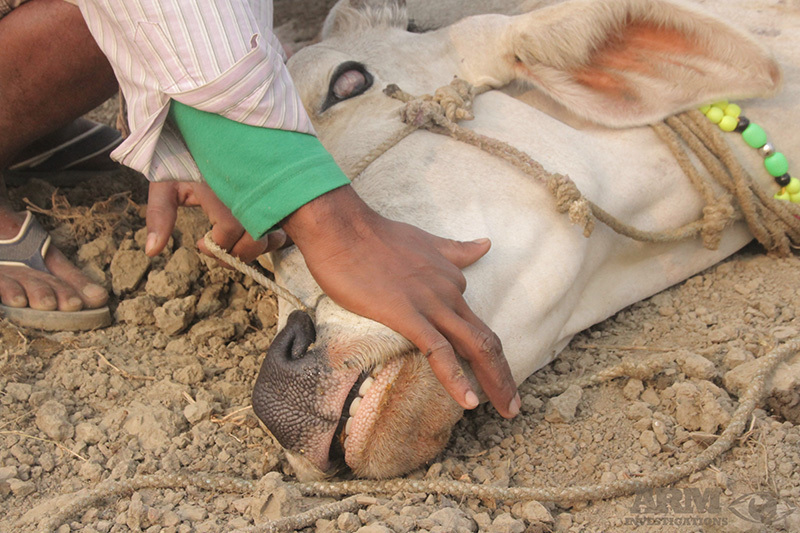 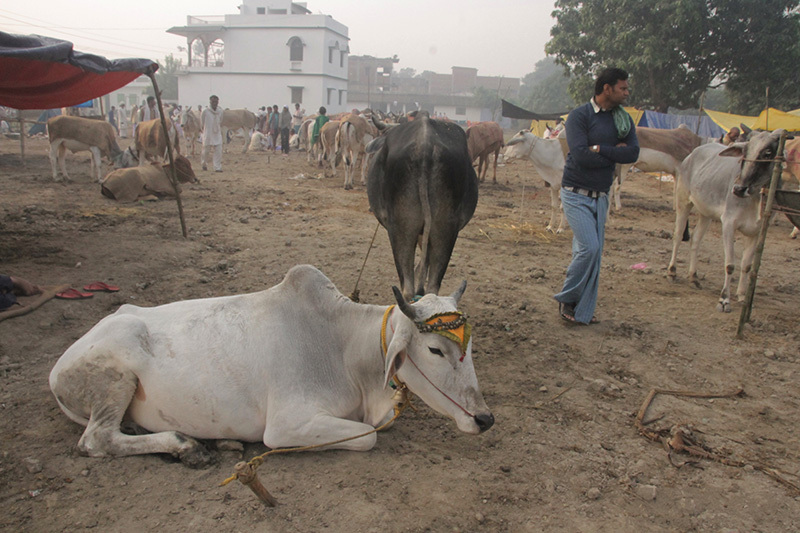 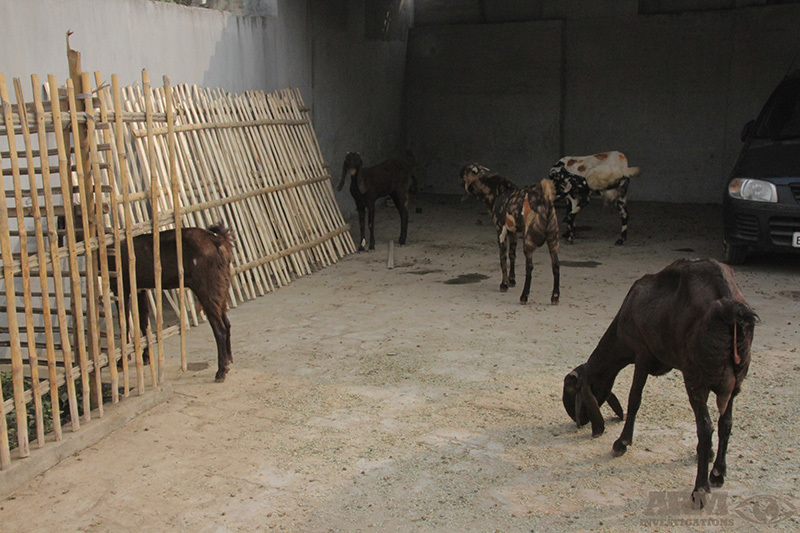 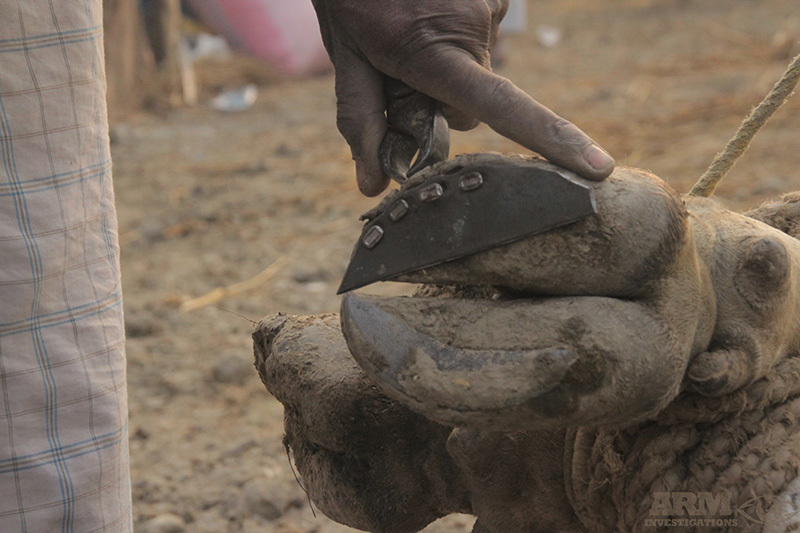 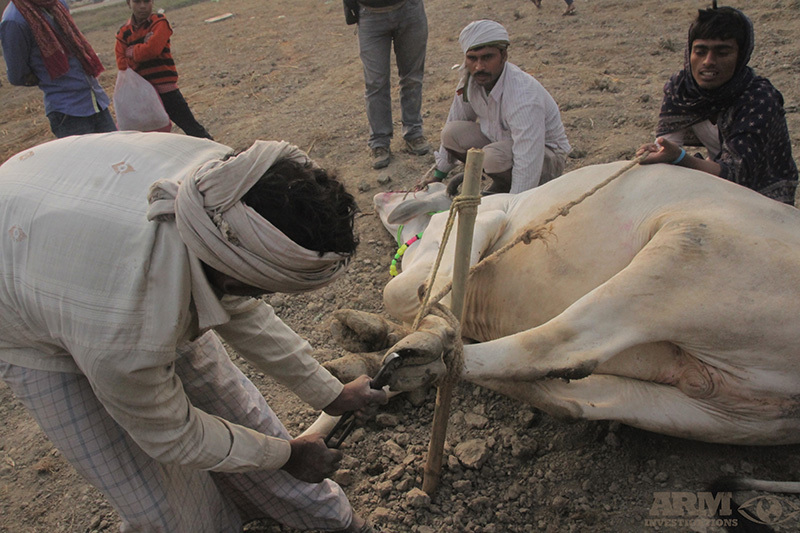 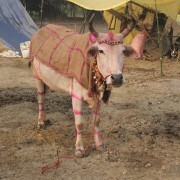 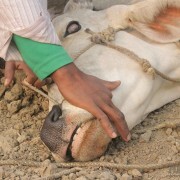 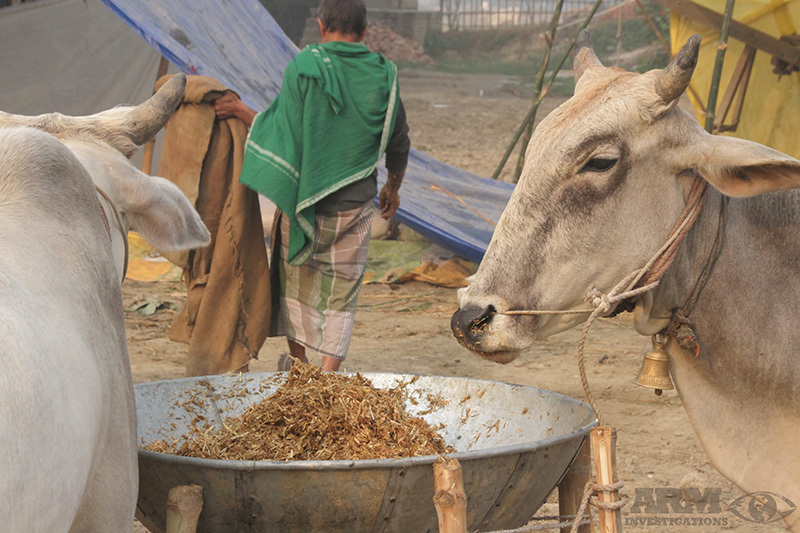 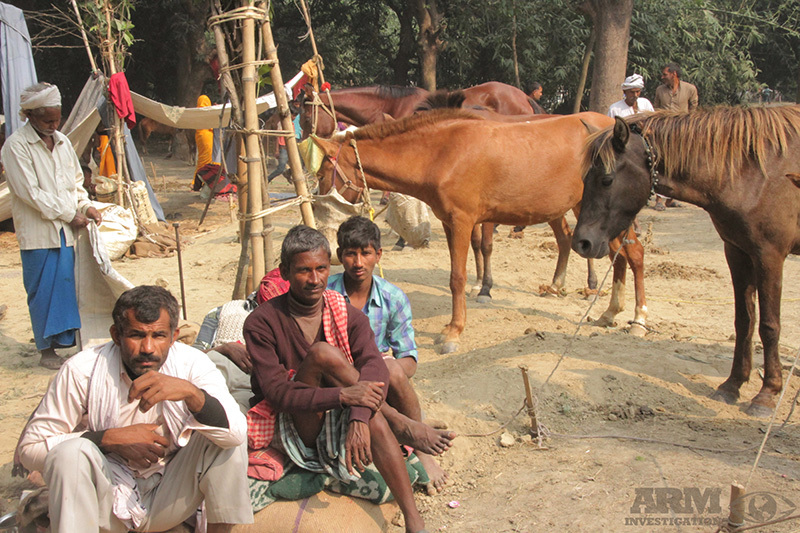 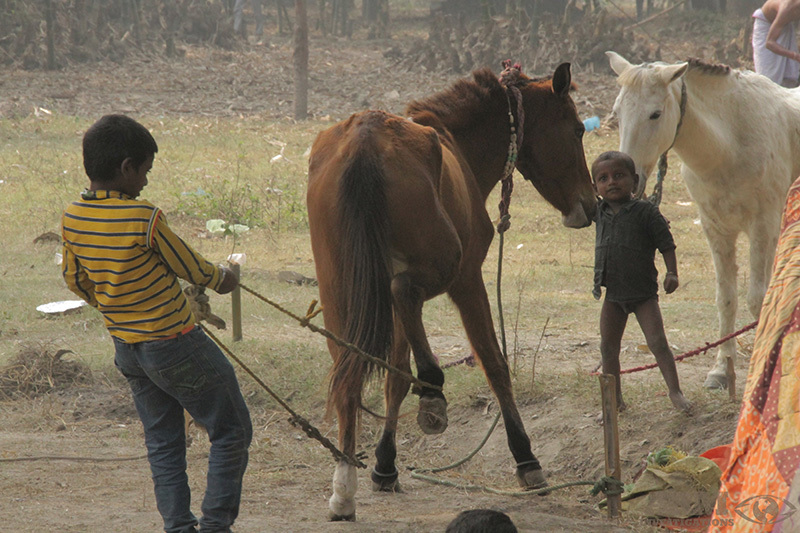 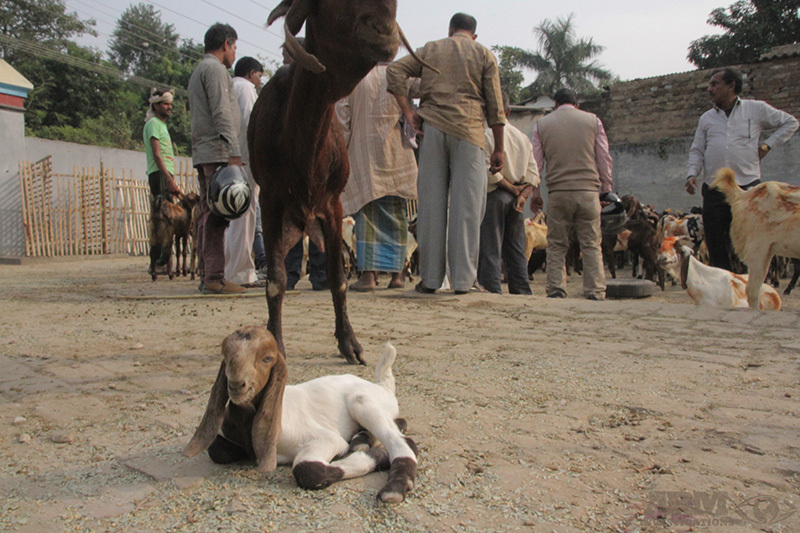 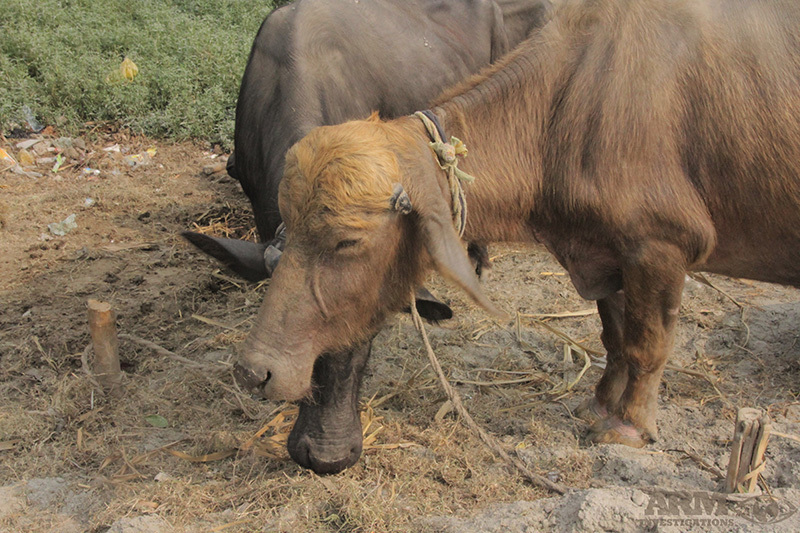 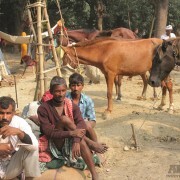 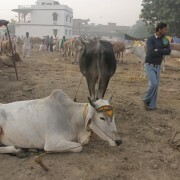 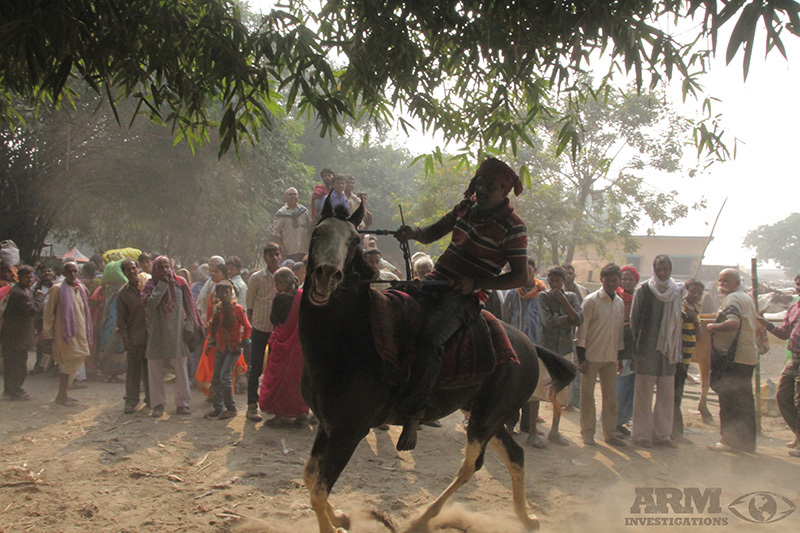 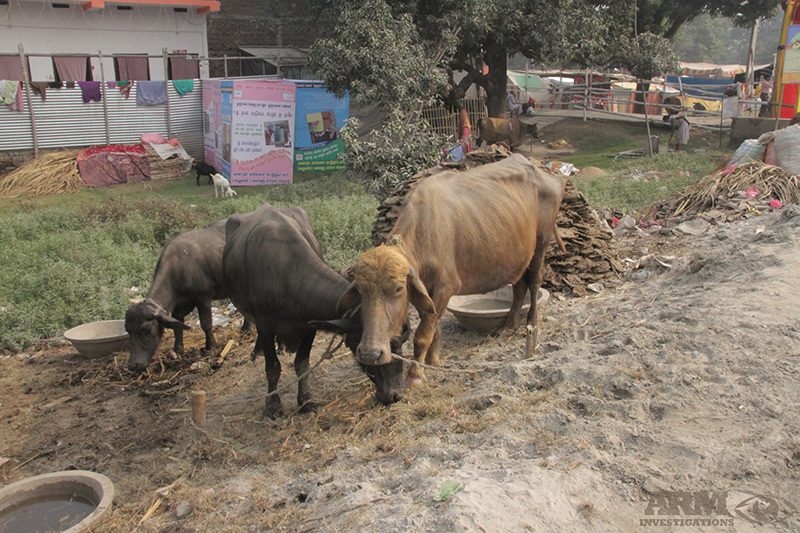 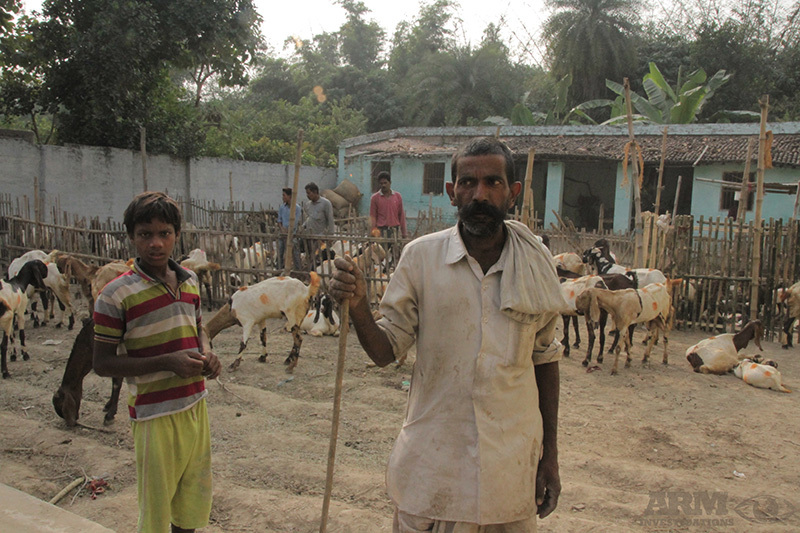 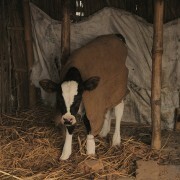 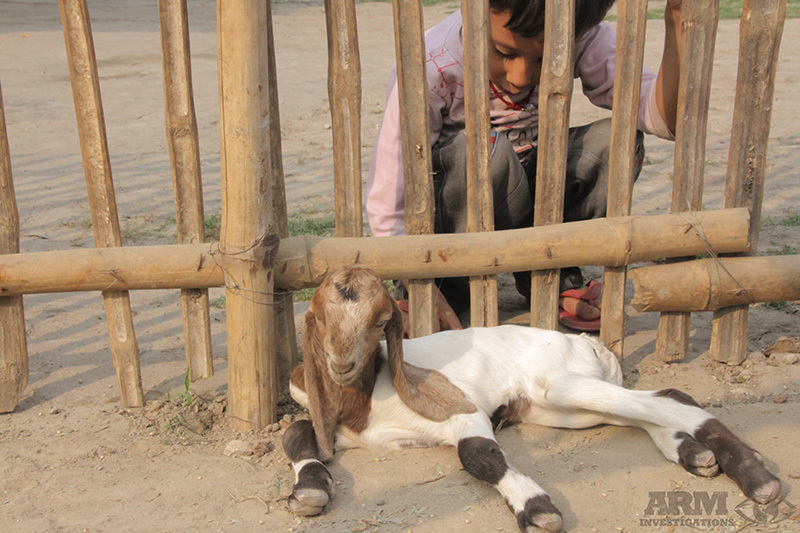 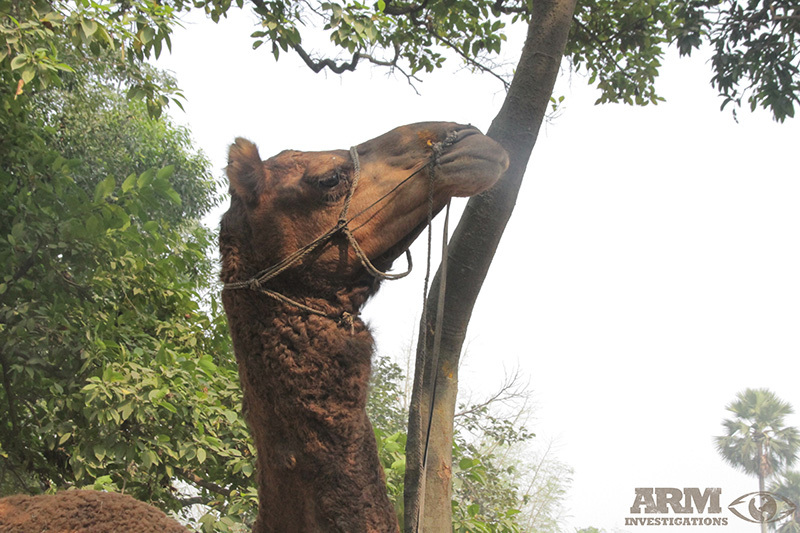 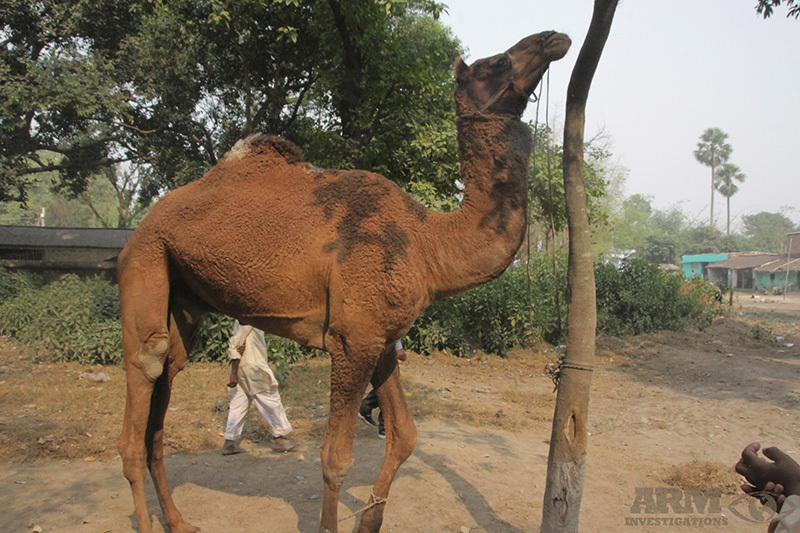 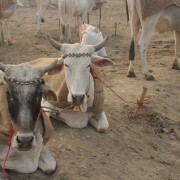 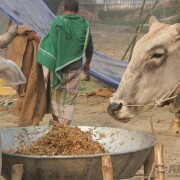 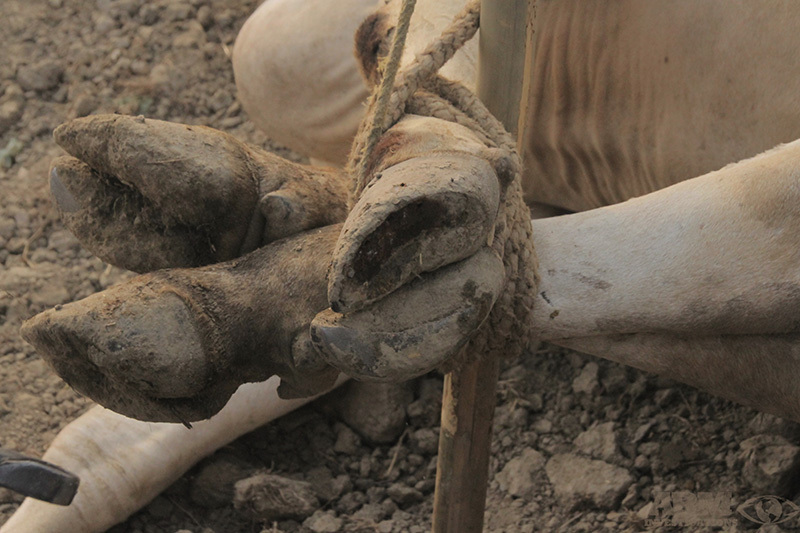 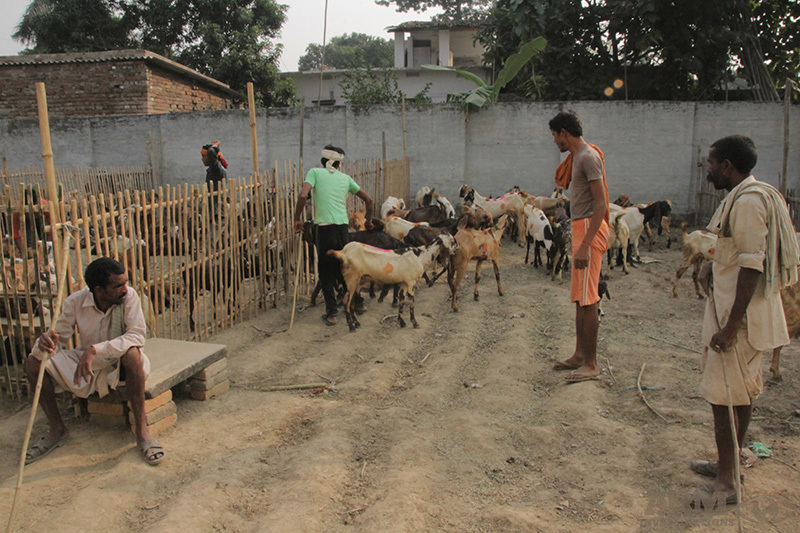 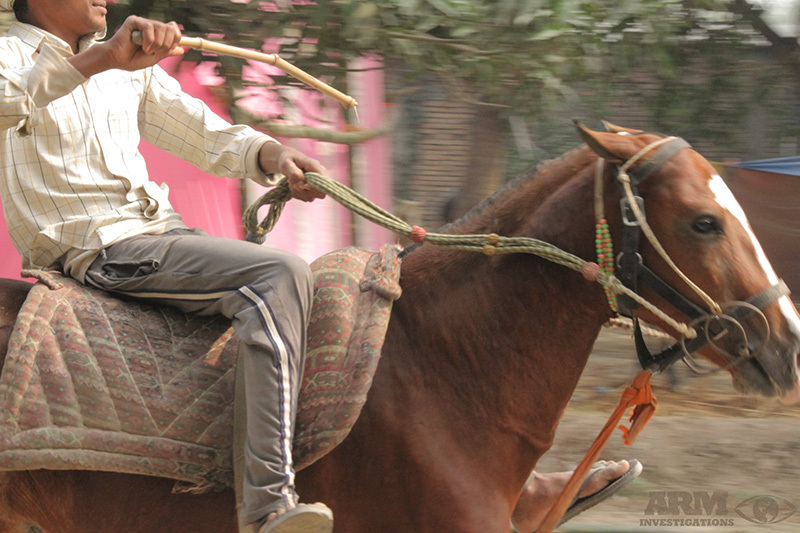 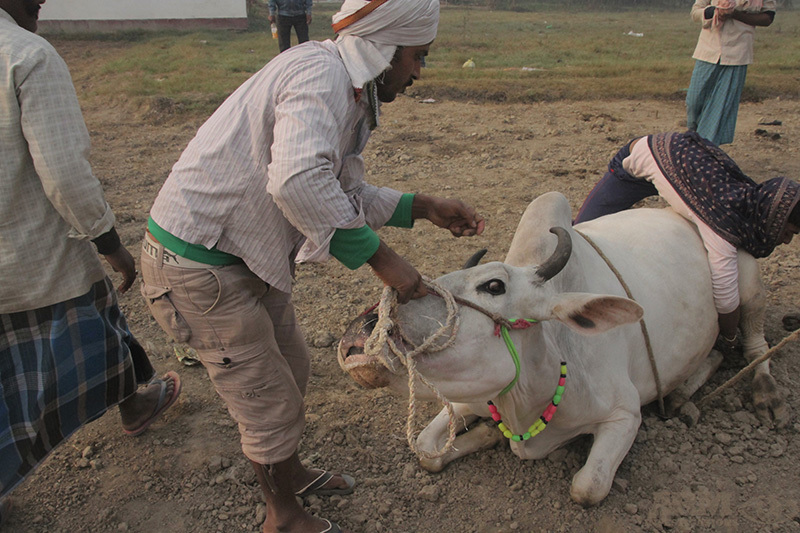 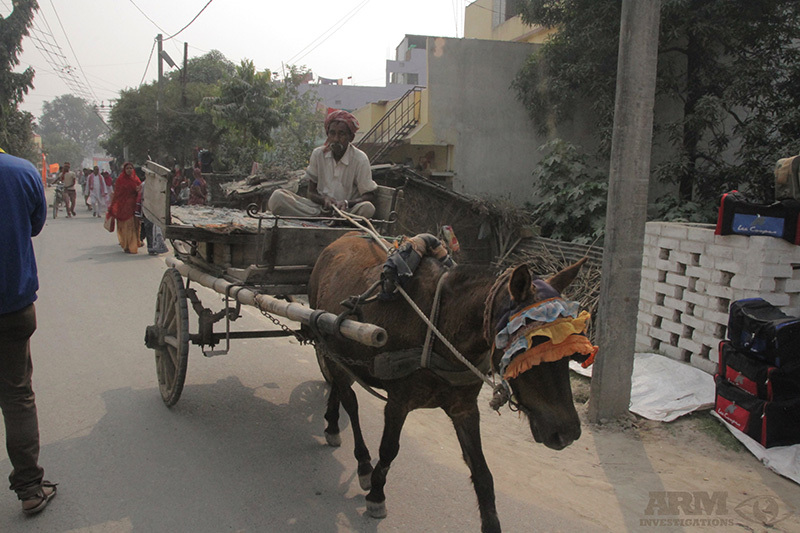 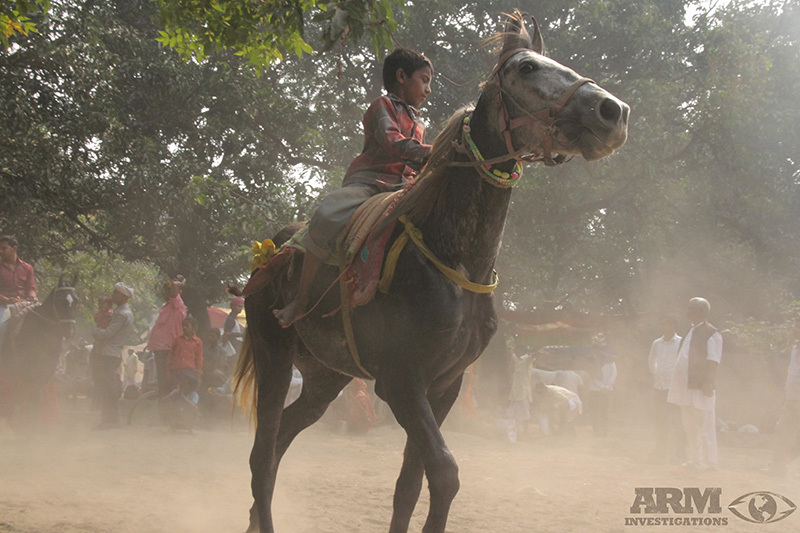 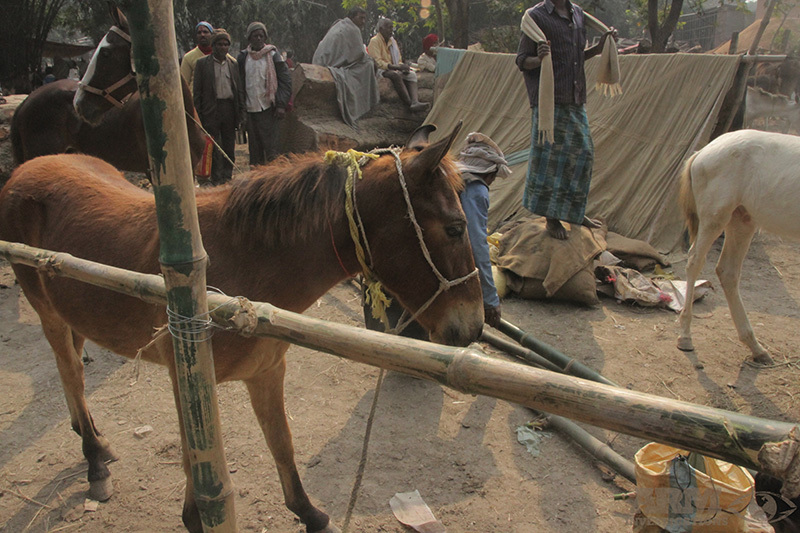 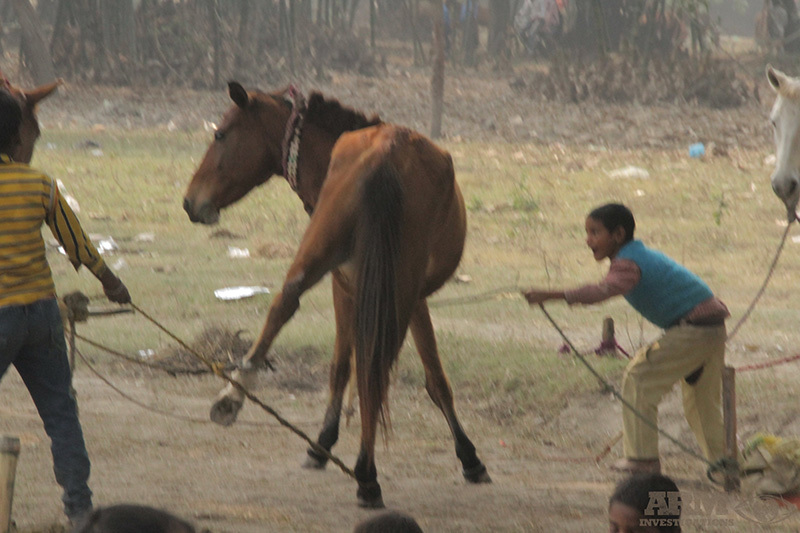 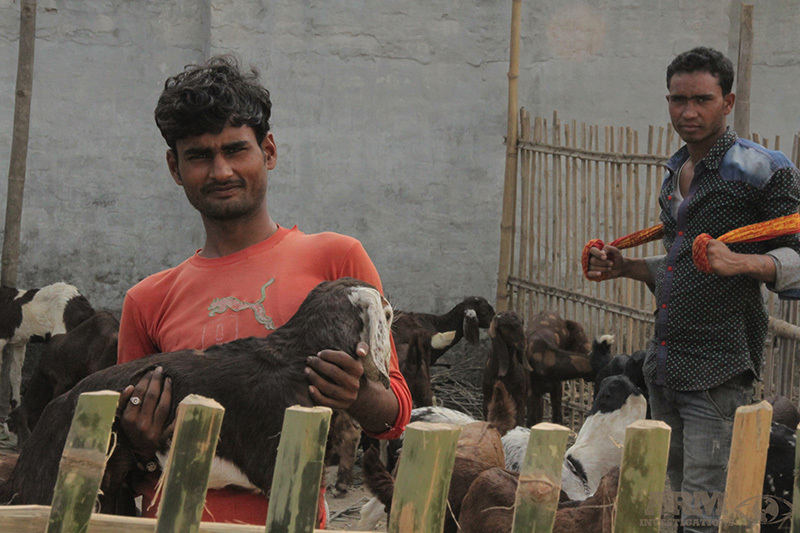 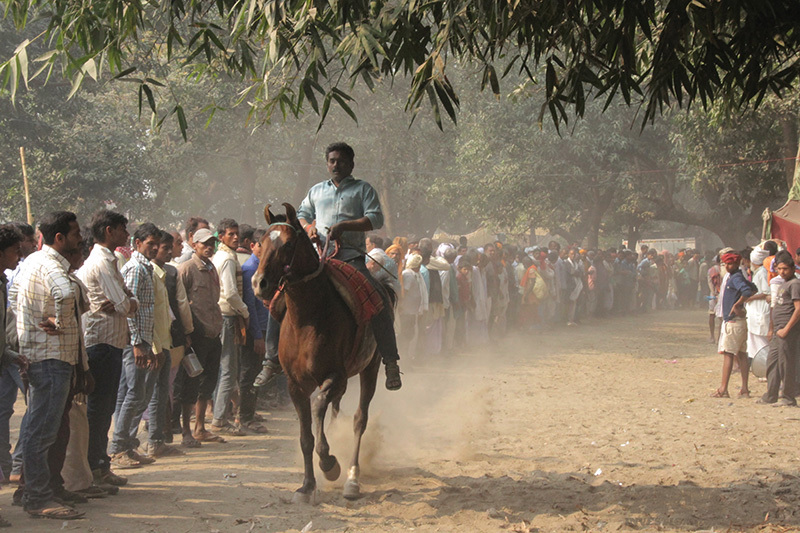 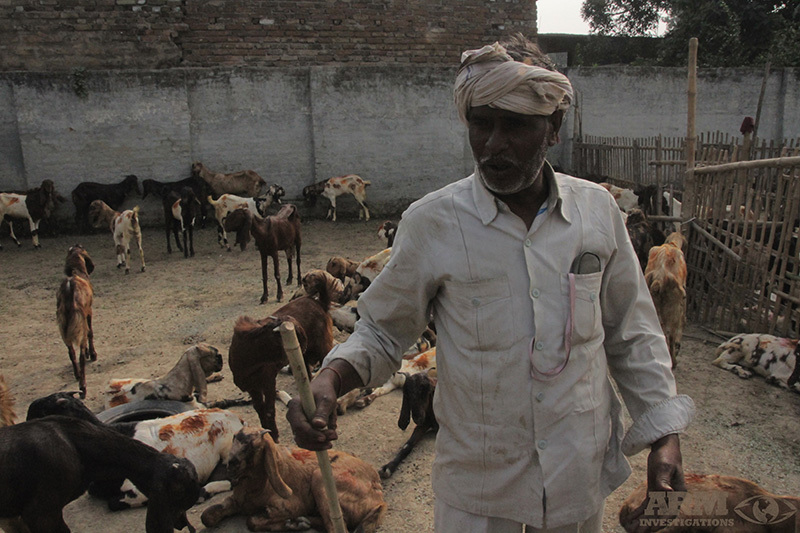 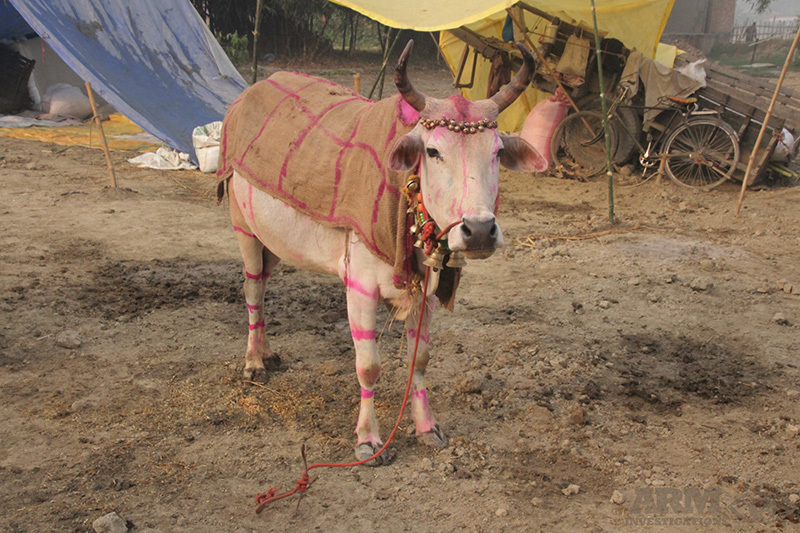 ARM investigators recently conducted undercover investigations of the largest cattle fair in Asia, held every November in the small village of Sonepur (inside the state of Bihar), India. 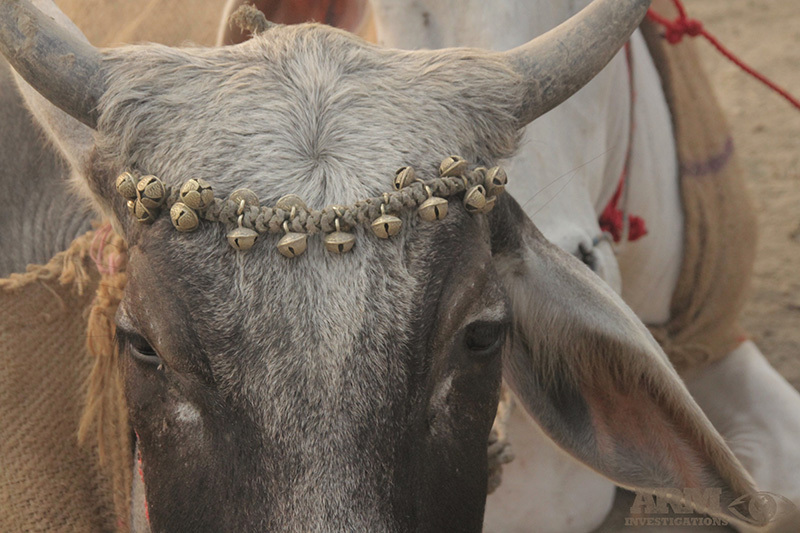 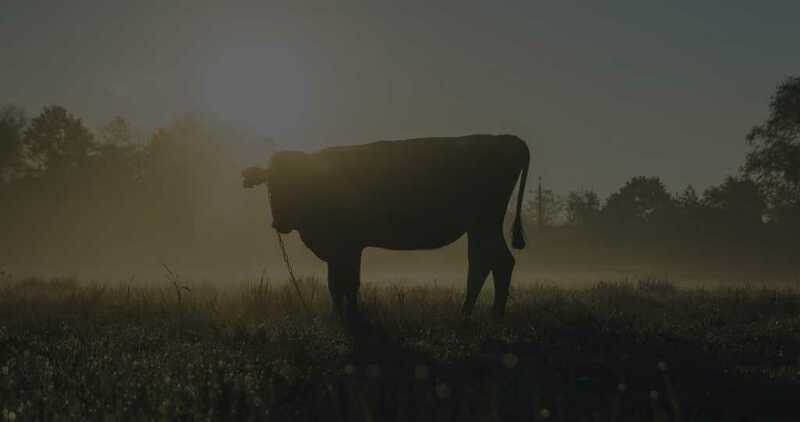 Every year, a gathering of people, otherwise referred to as a ‘Mela’, come together to not only attend for the cattle but also to trade and buy a vast amount of animals including wildlife are famously traded and sold, many of them, illegally. 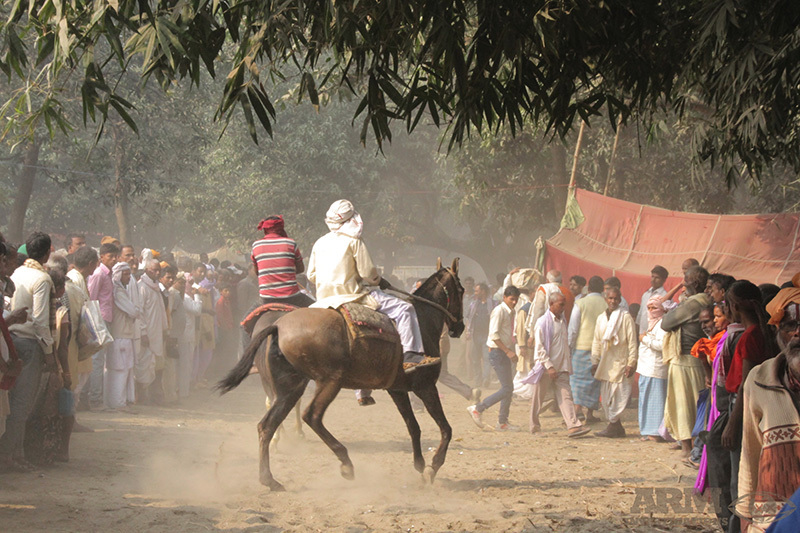 Starting on the full moon day, India hosts a popular fair known as the Sonepur Mela, traditionally known as Harihar Kshetra Mela. 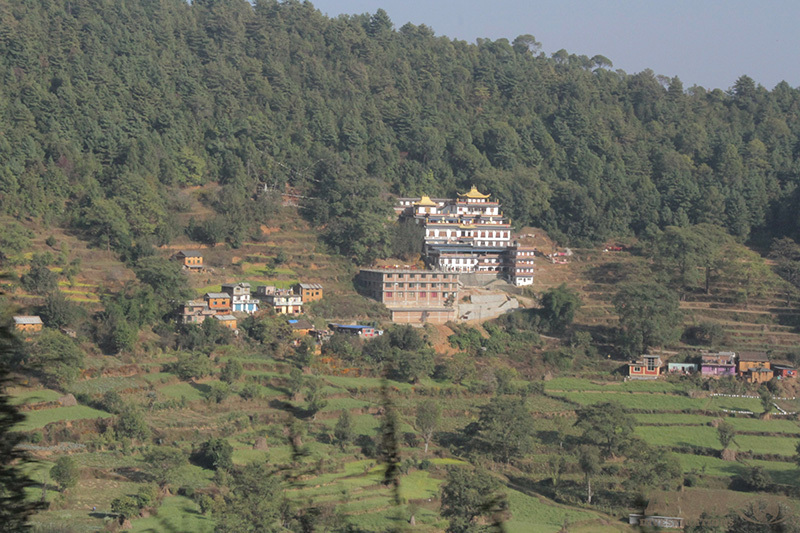 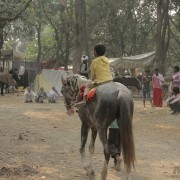 This fair lasts from 15 days to one full month and attracts visitors from all over Asia. 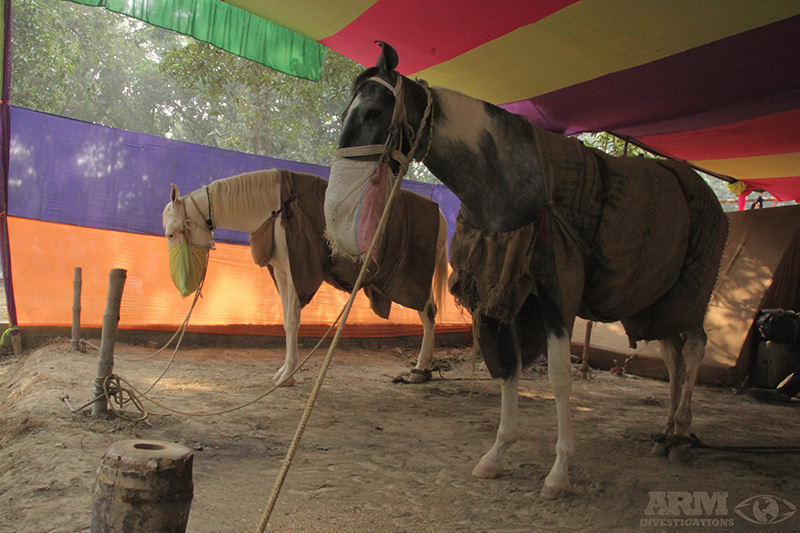 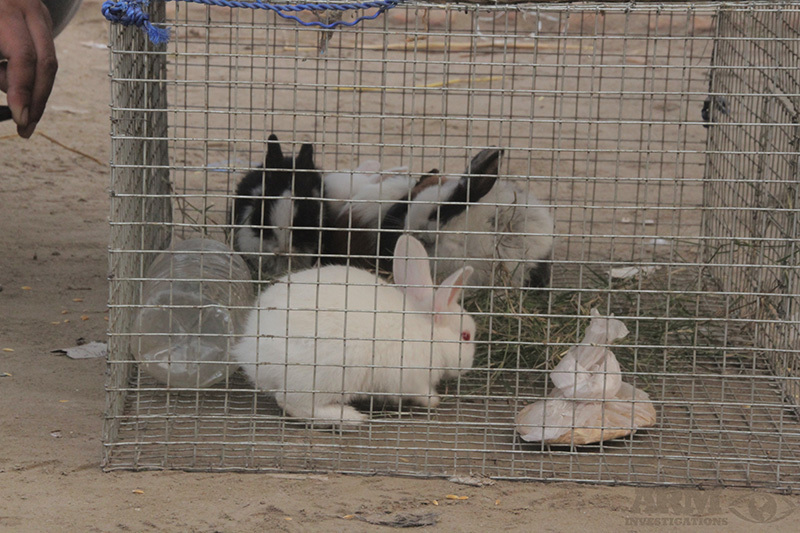 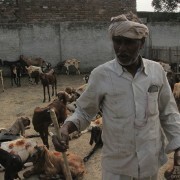 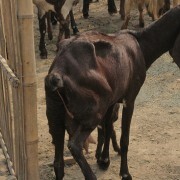 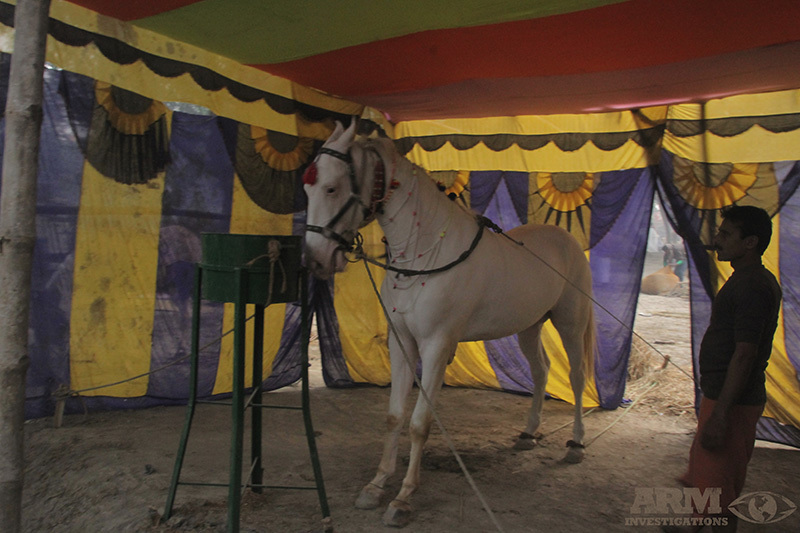 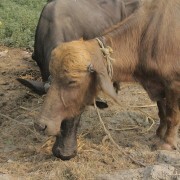 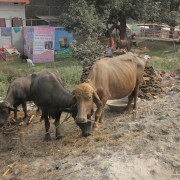 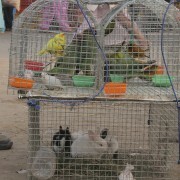 The fair itself disregards legal aspects and provisions of the Wildlife Protection Act of 1972, which bans commercial trading of certain species of animals. 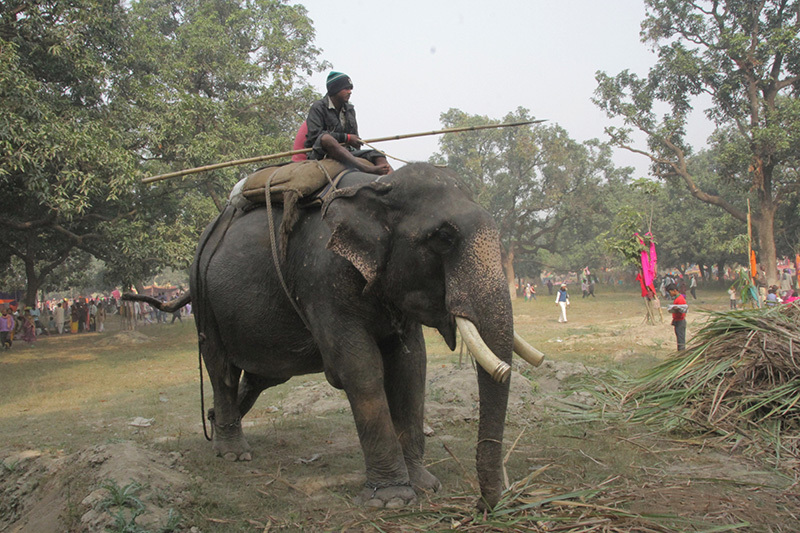 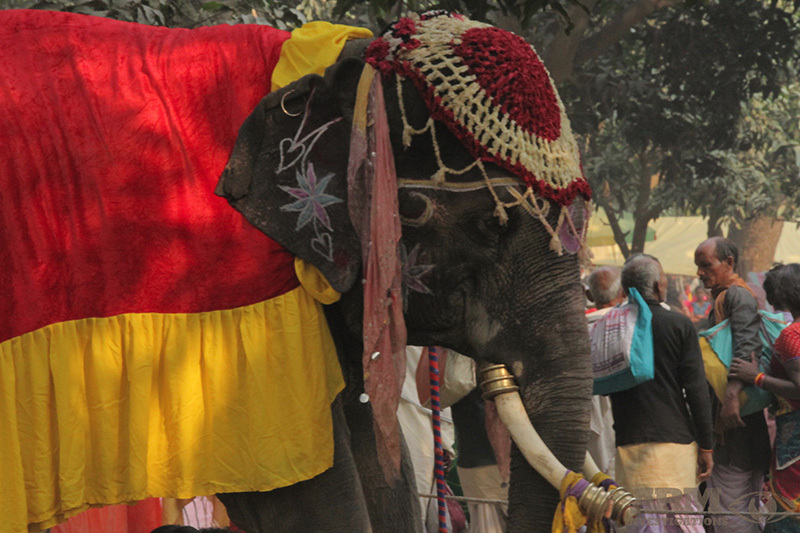 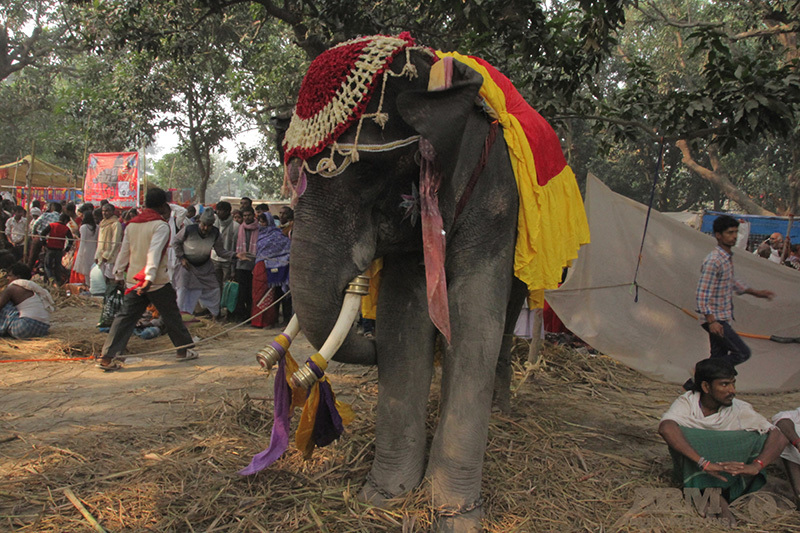 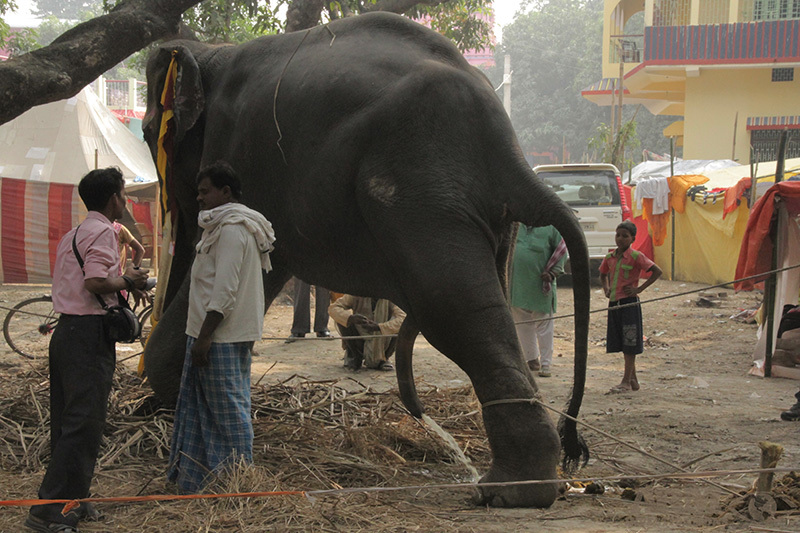 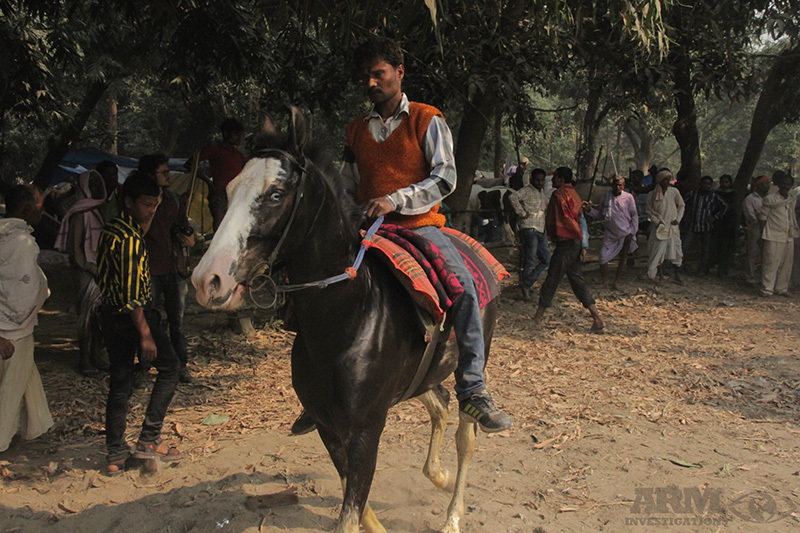 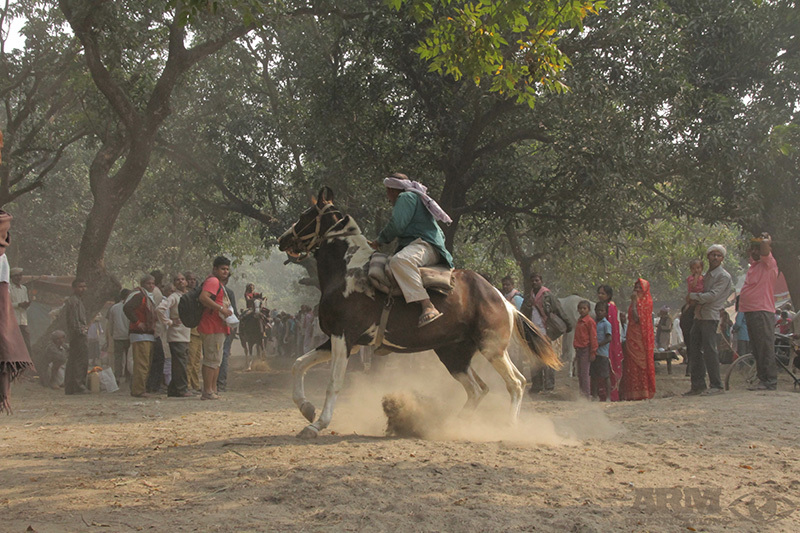 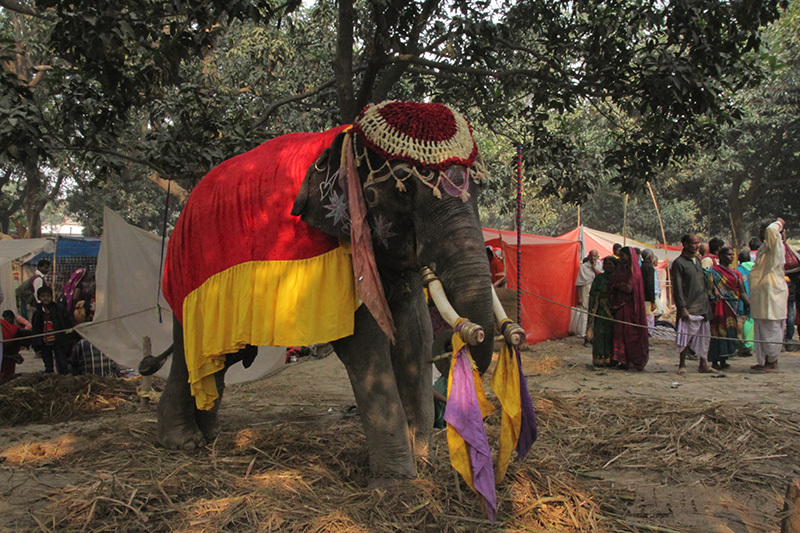 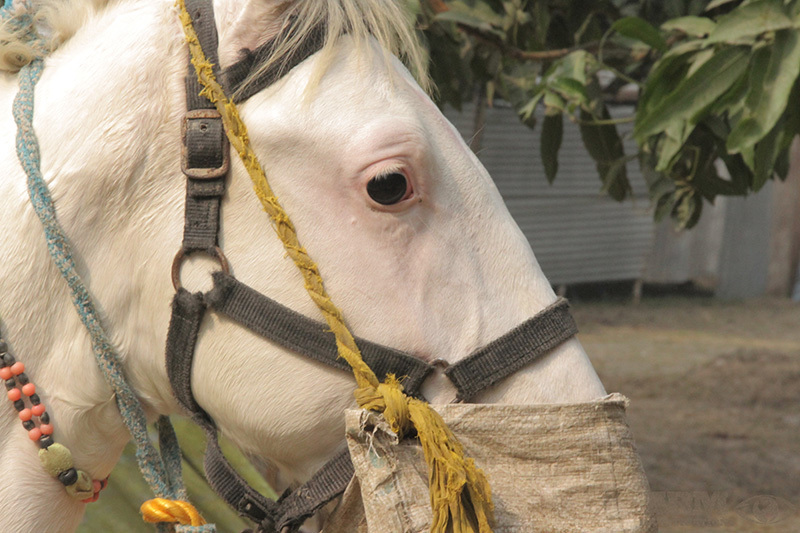 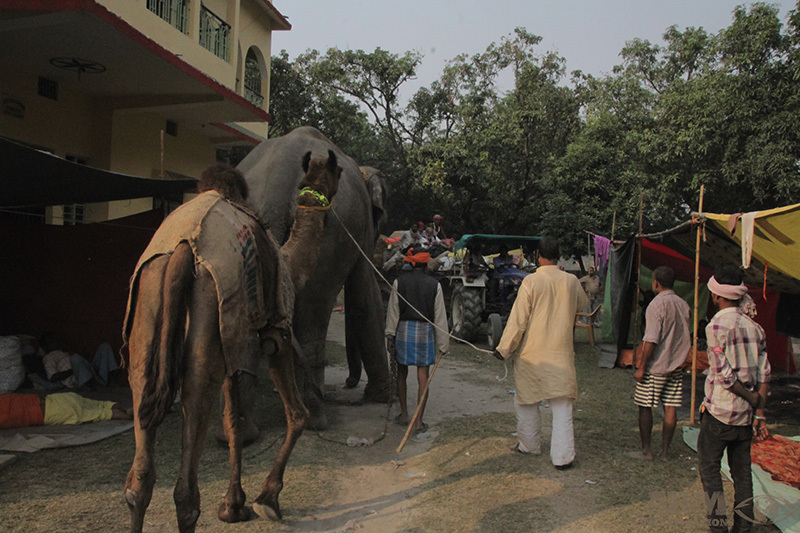 The Sonepur Mela fair derives from ancient times when Chandragupta Maurya, the first emperor to unify most of Greater India into one state, used to purchase elephants and horses to cross the river Ganges. 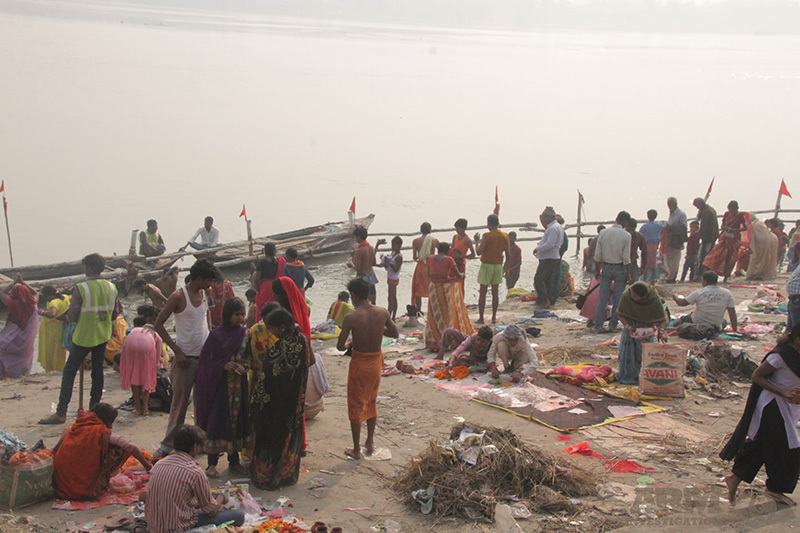 Gatherers of today, now meet in Sonepur, located at the confluence of 2 major North India Rivers; Ganges and Gandak, to celebrate the Karthik Purnima or full moon night. 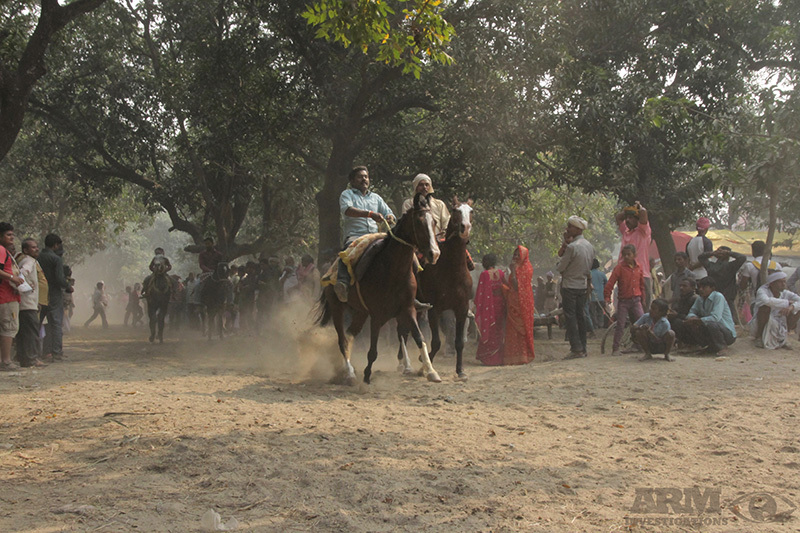 This gathering is said by Indian people to represent the daily life and true heart of Indian culture and beliefs. 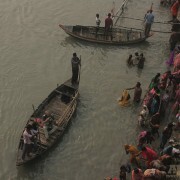 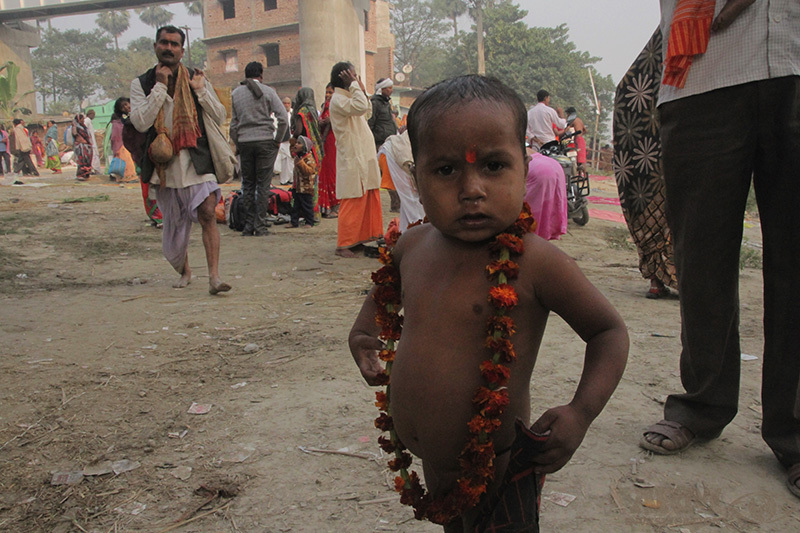 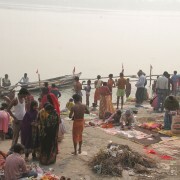 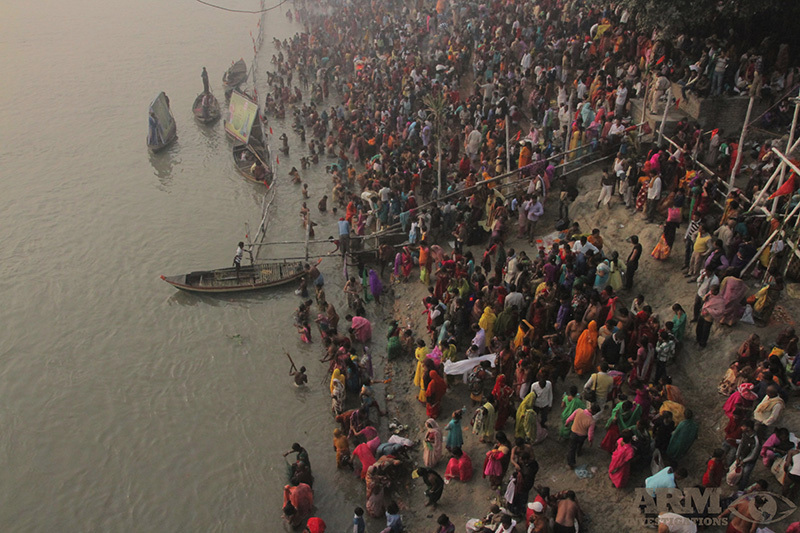 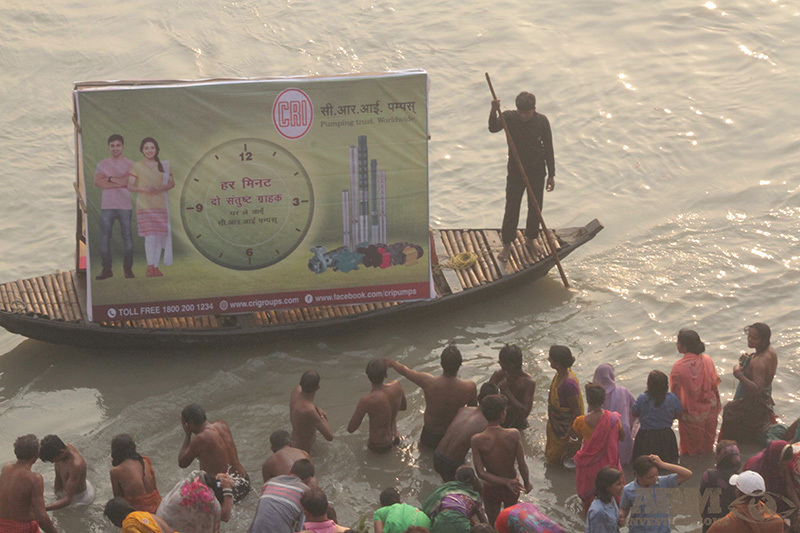 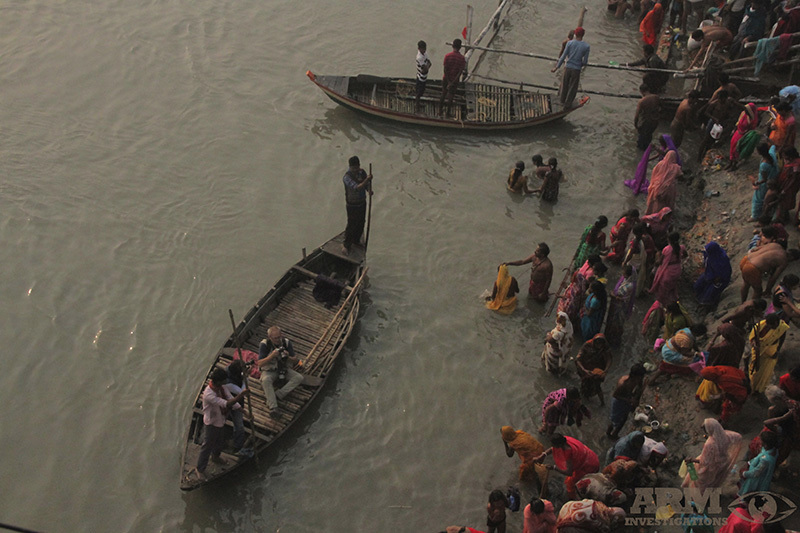 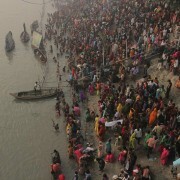 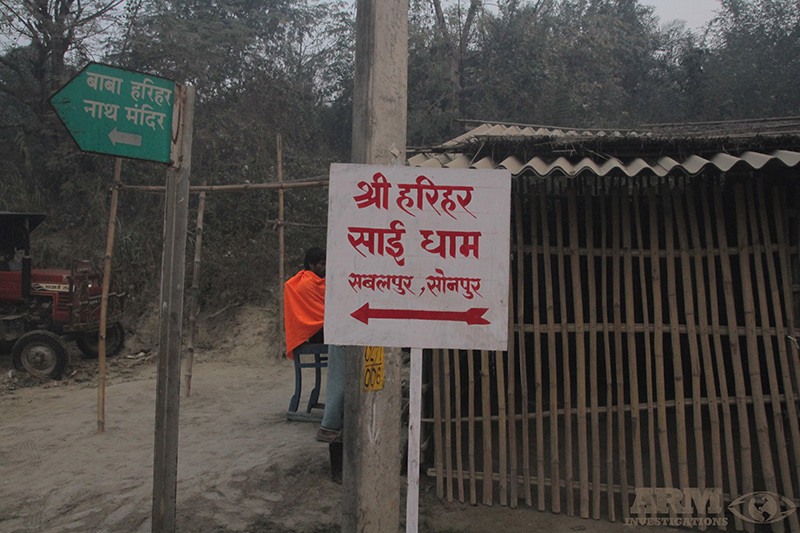 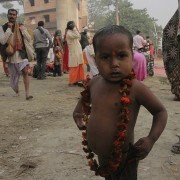 The fair begins as a religious hindu festival where thousands of attendees kick of festivities by bathing in the Gandak river and practice hindu rituals. 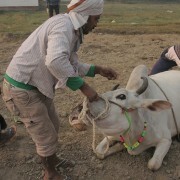 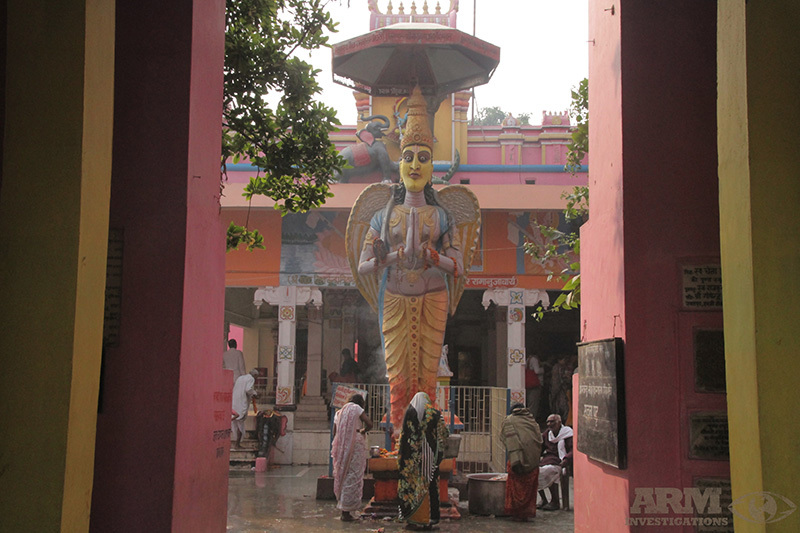 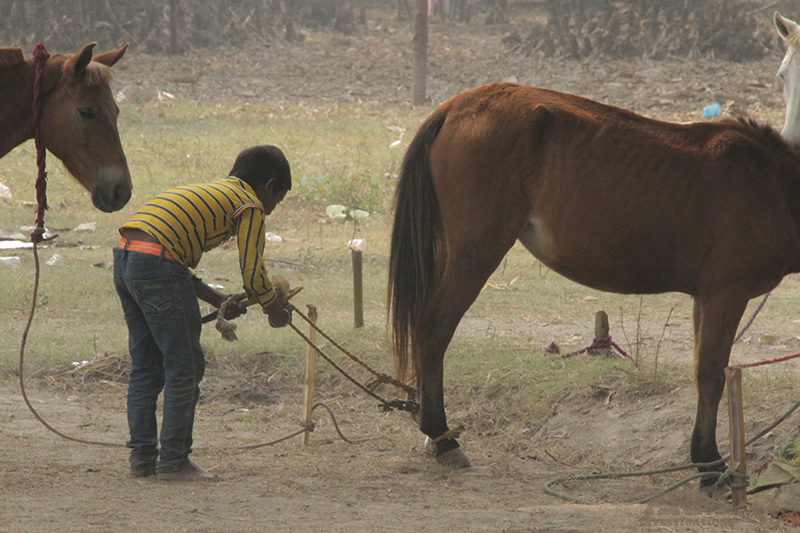 For the first couple of days of Sonepur Mela, prayers and ritualistic ceremonies are the focal points for fair goers. 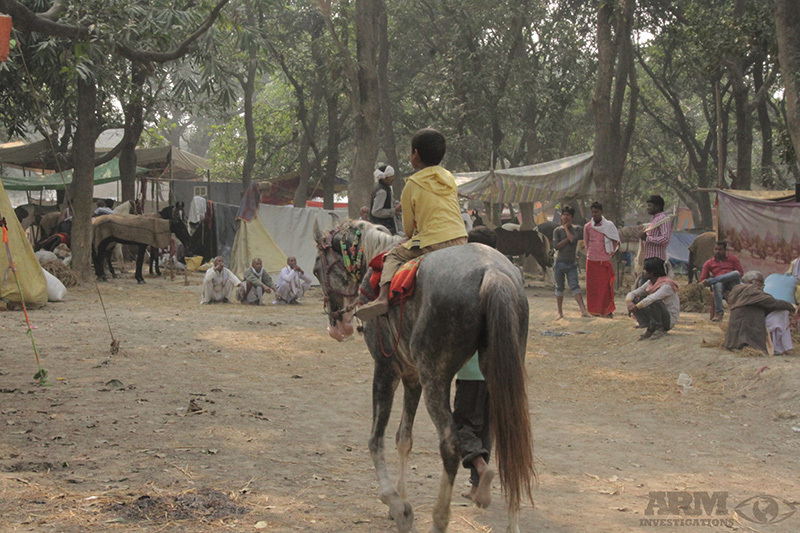 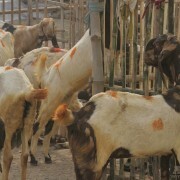 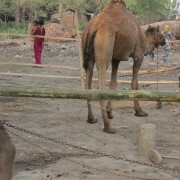 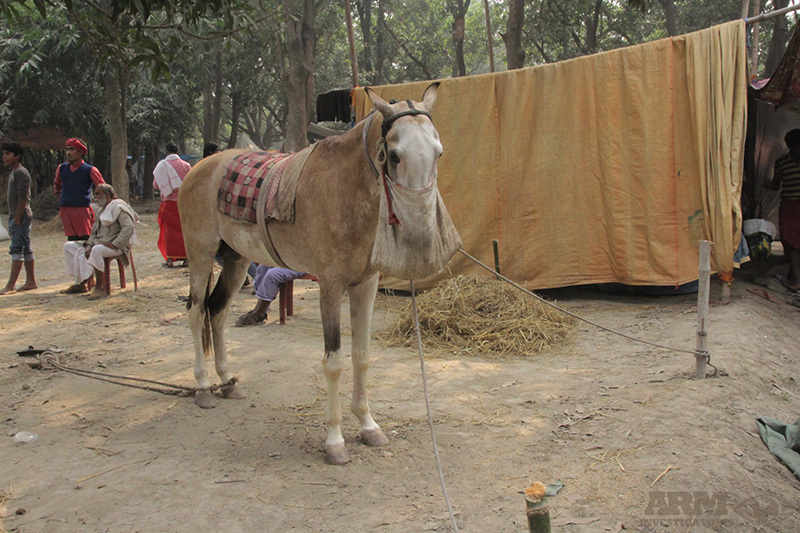 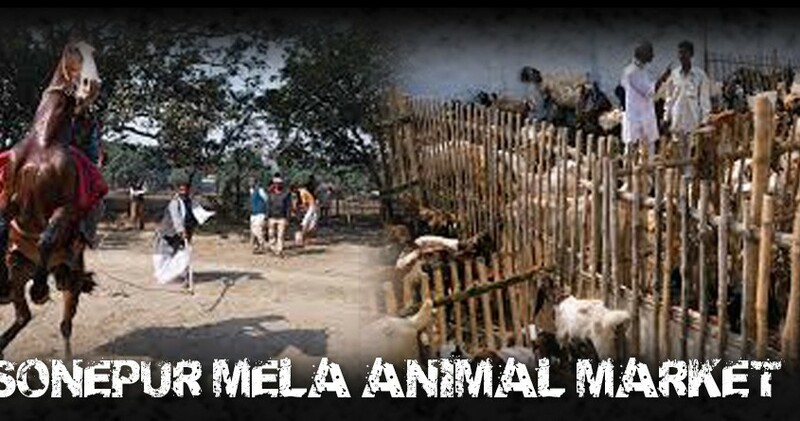 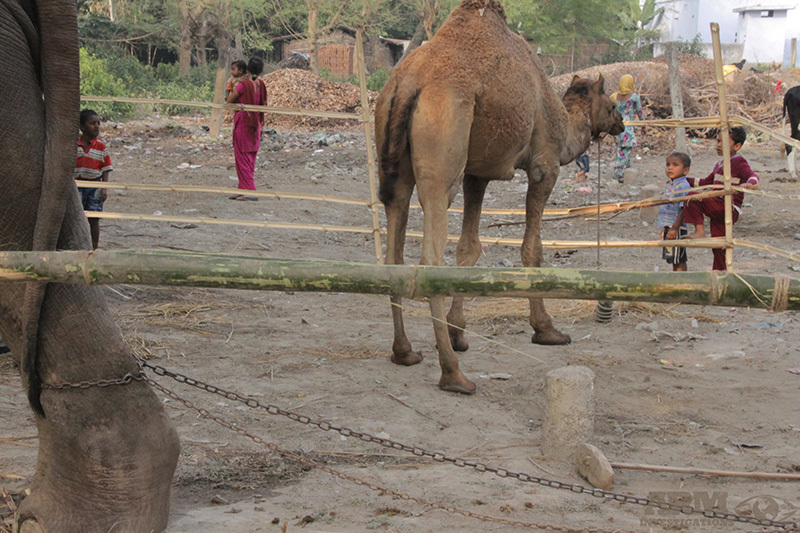 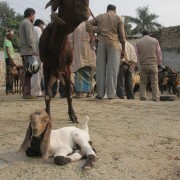 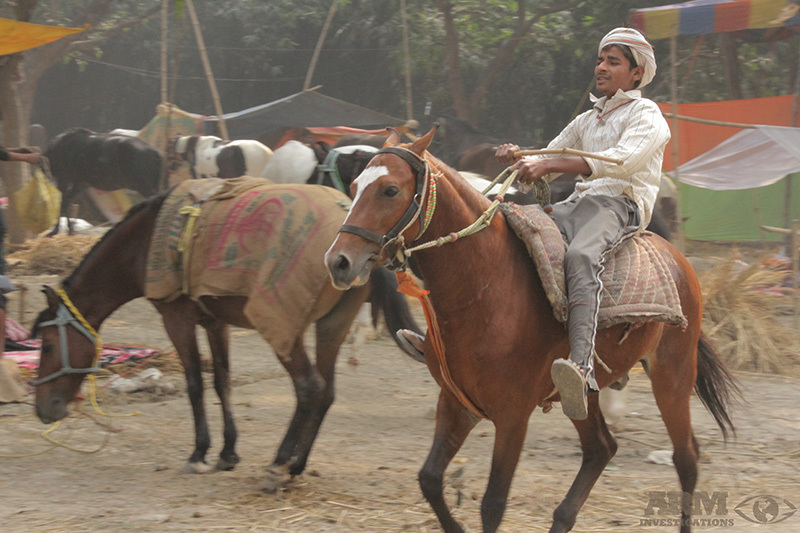 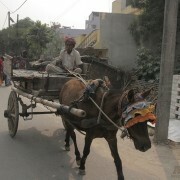 Following these religious first few days, pilgrims return to their villages and the Mela turns into a fair, animal trade and amusement park. 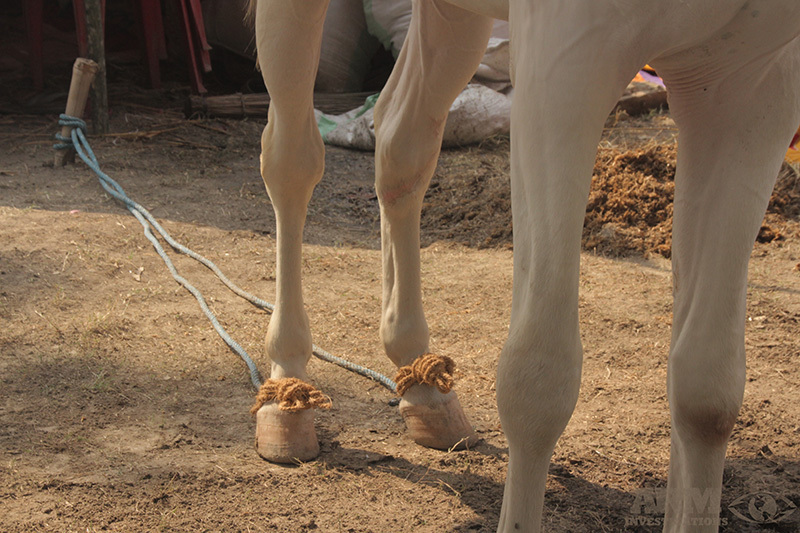 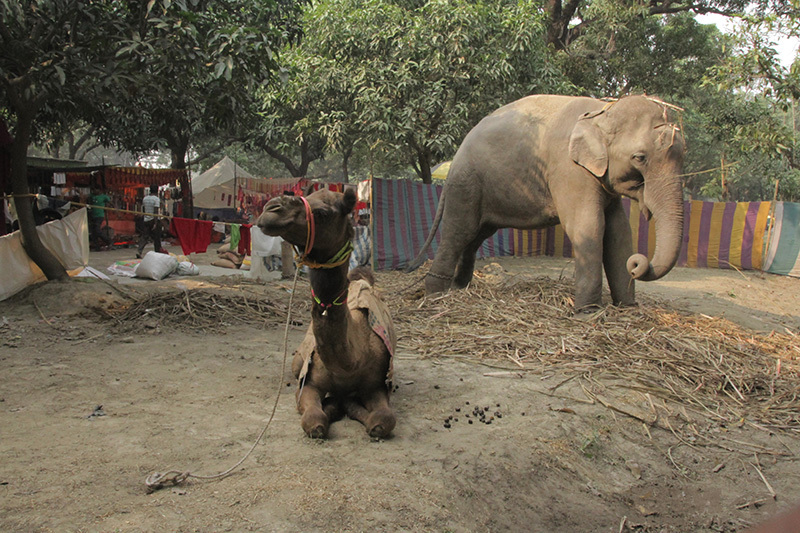 The highly anticipated fair is famous for its large congregation of pilgrims who sell, trade and buy elephants, horses, bird markets and holds the largest cattle and livestock markets in India. 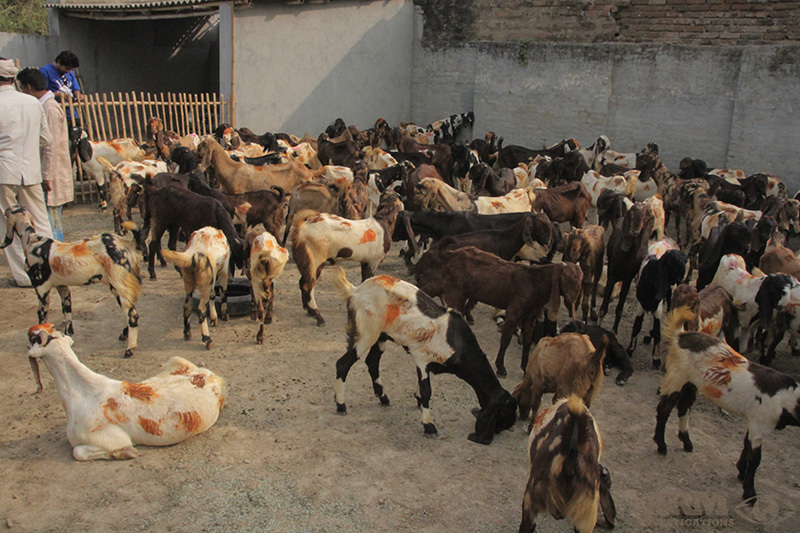 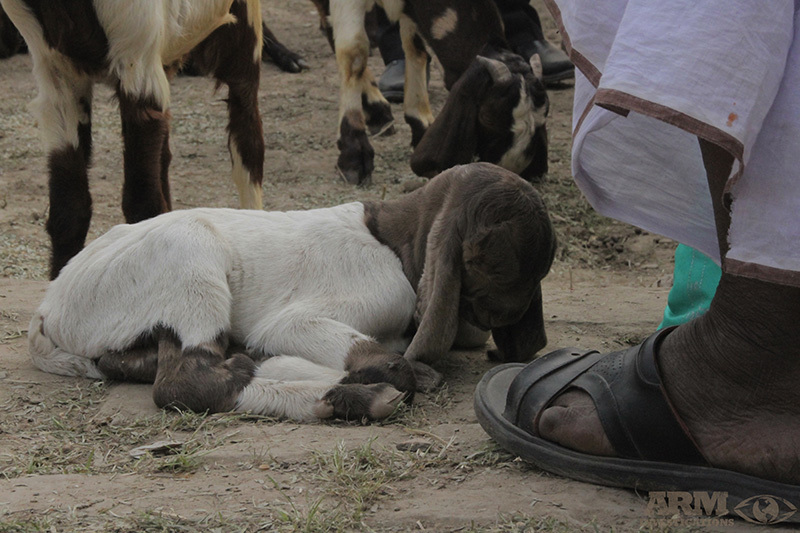 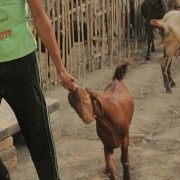 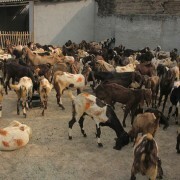 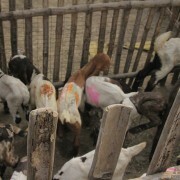 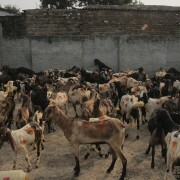 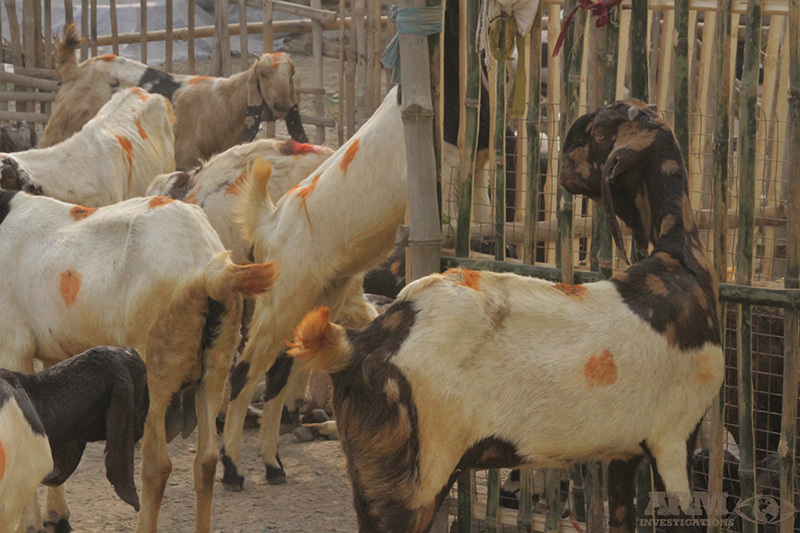 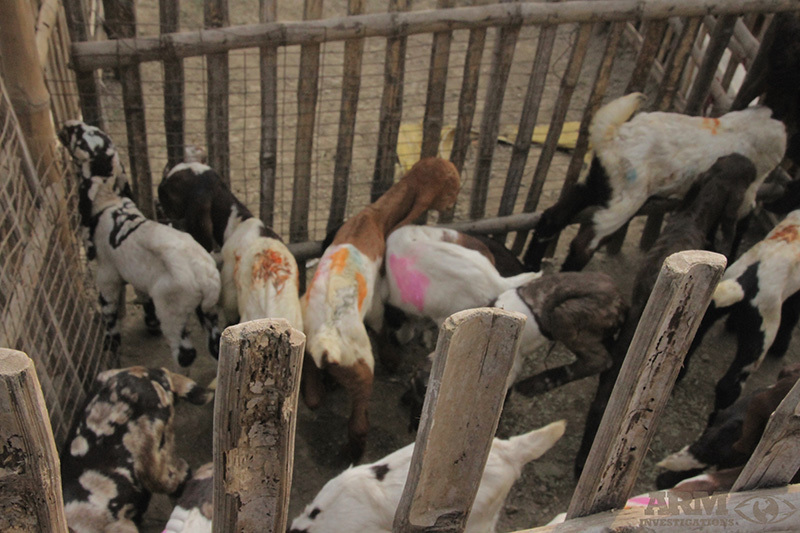 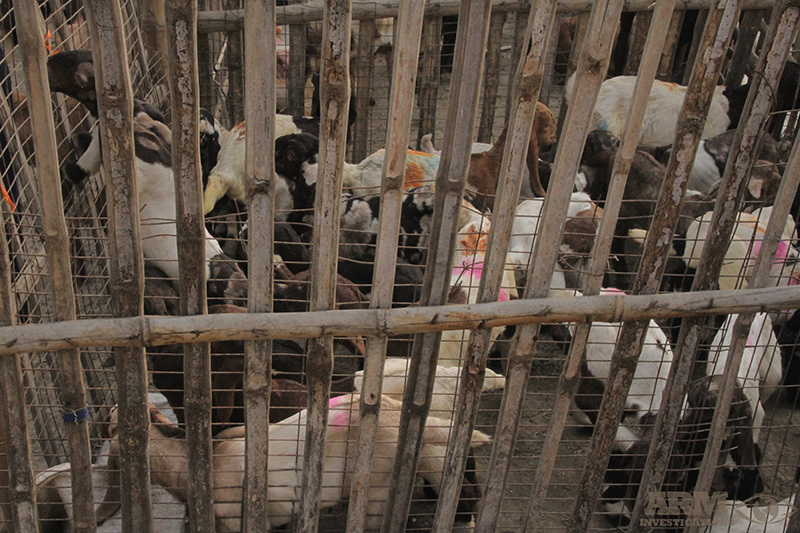 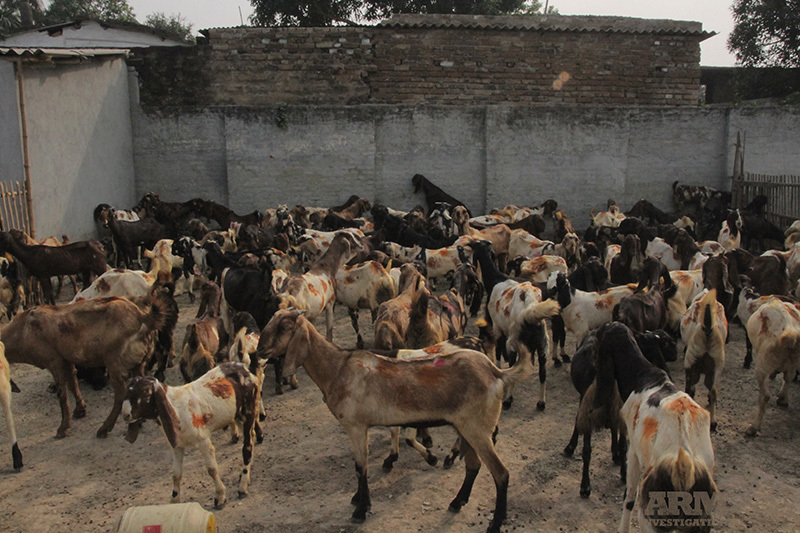 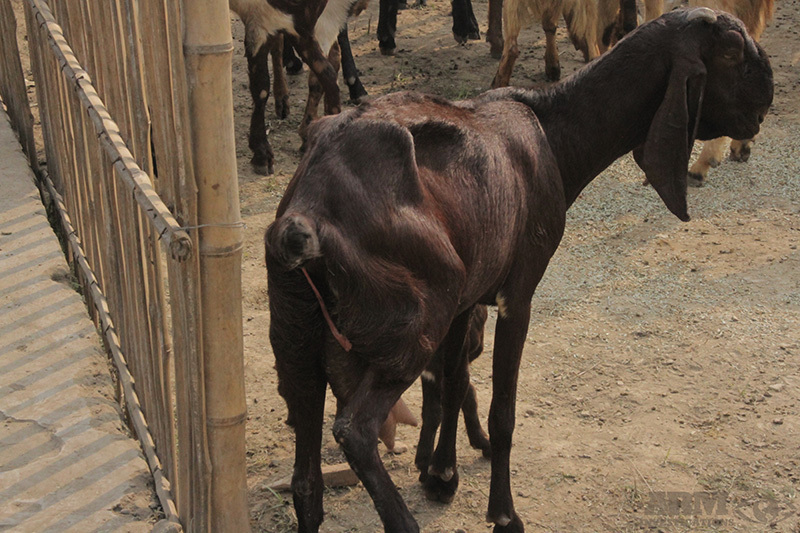 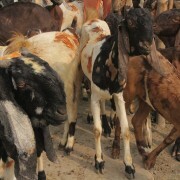 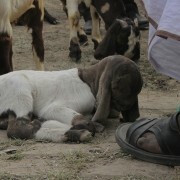 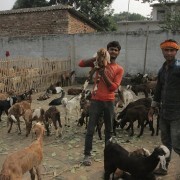 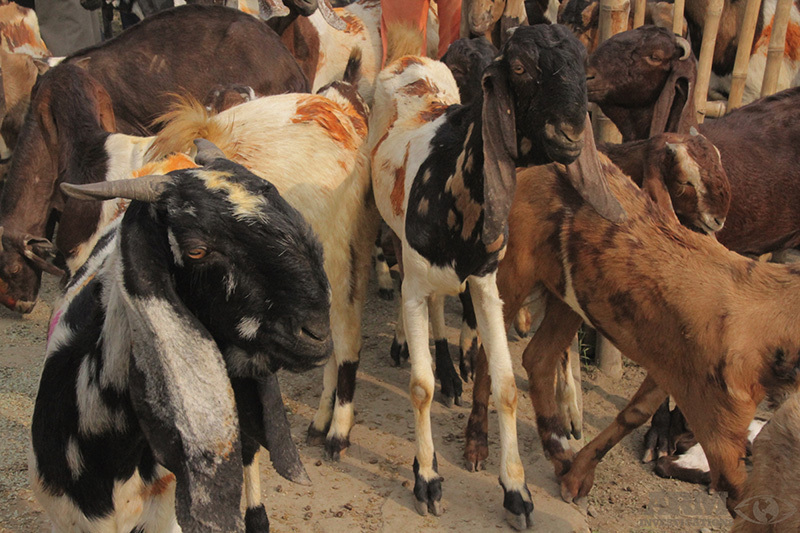 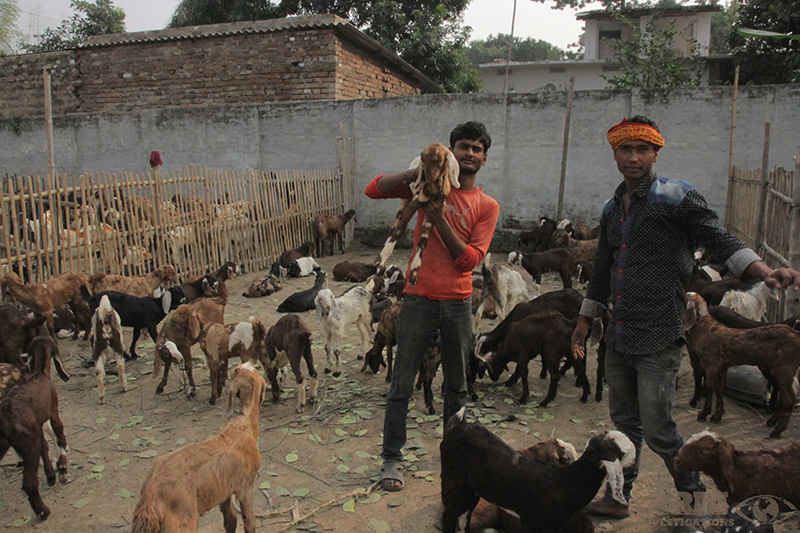 During this fair, people come to trade and buy animals including all breeds of dogs, camels, buffaloes, cows, goats, horses, birds and poultry. 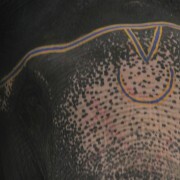 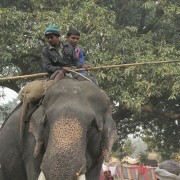 Above all, elephants lined up for sale, draw the most attention from spectators and traders throughout India. 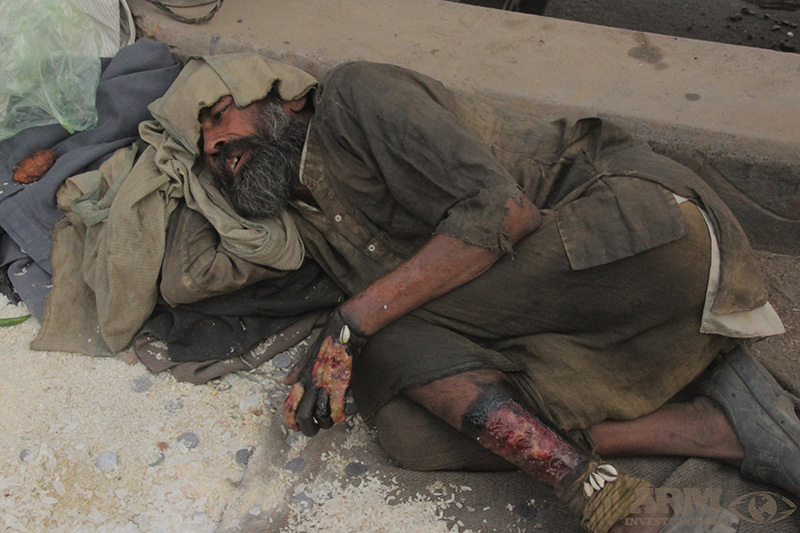 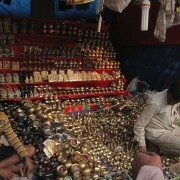 Many of these sales are said to be done behind closed doors, so as not to expose their illegal sales. 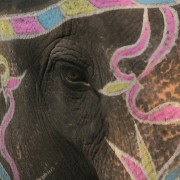 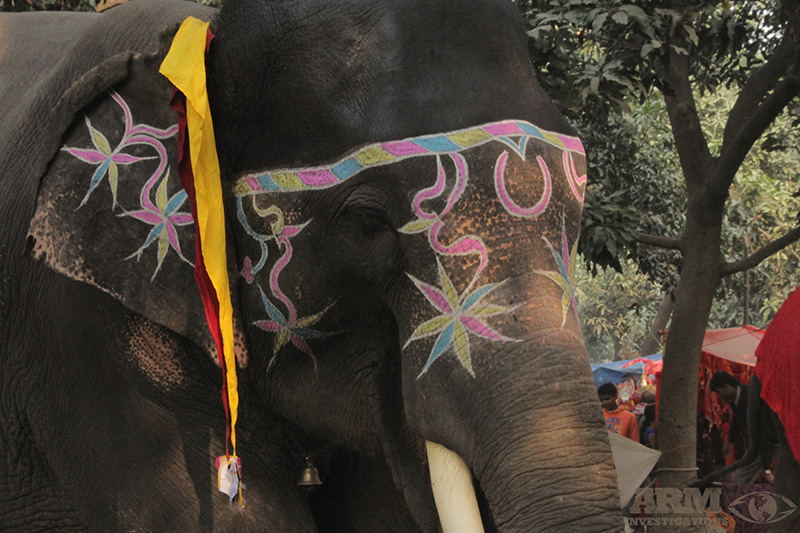 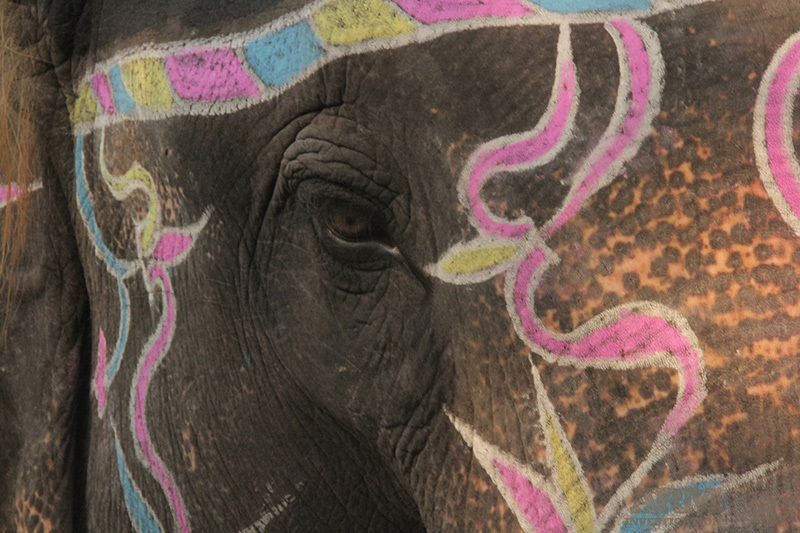 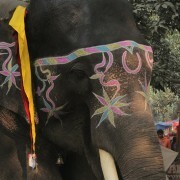 Sellers decorate their elephants with beautiful and extravagant embellishments to attract buyers and traders. 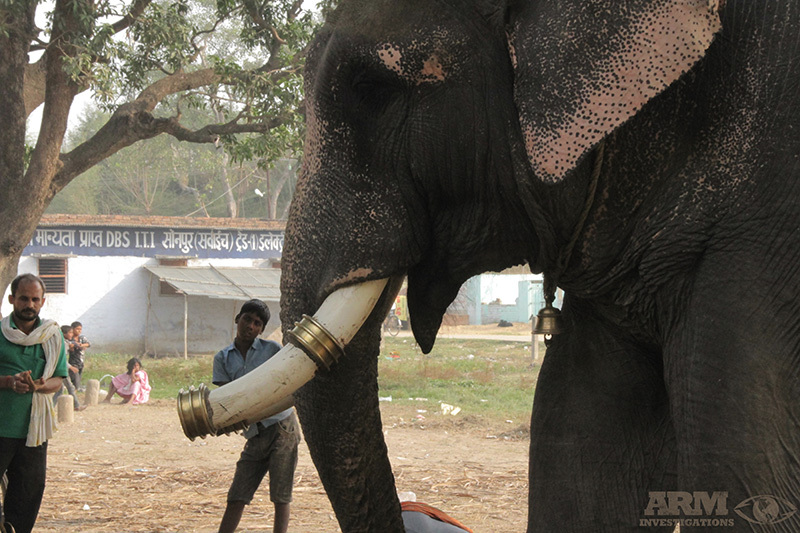 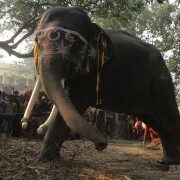 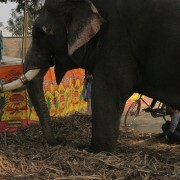 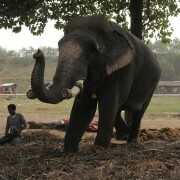 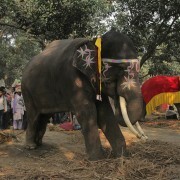 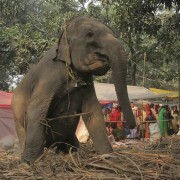 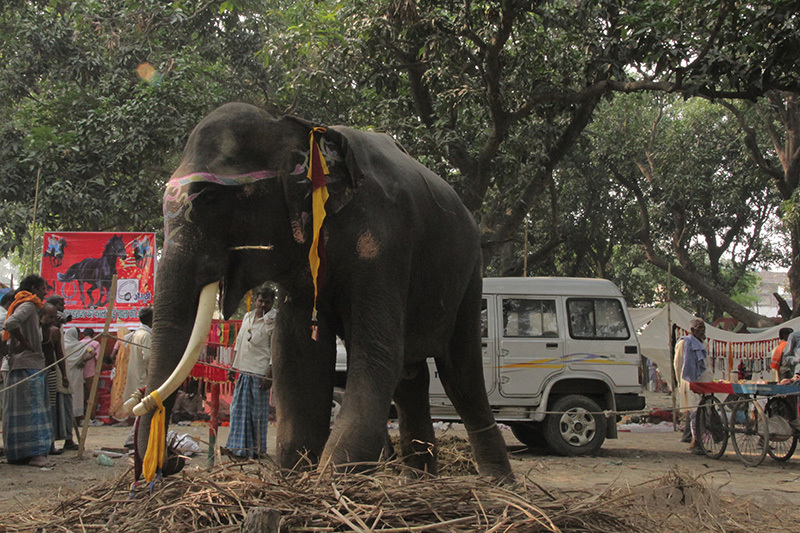 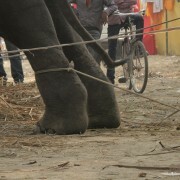 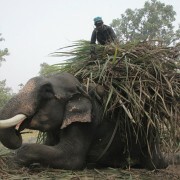 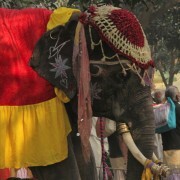 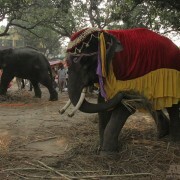 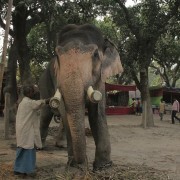 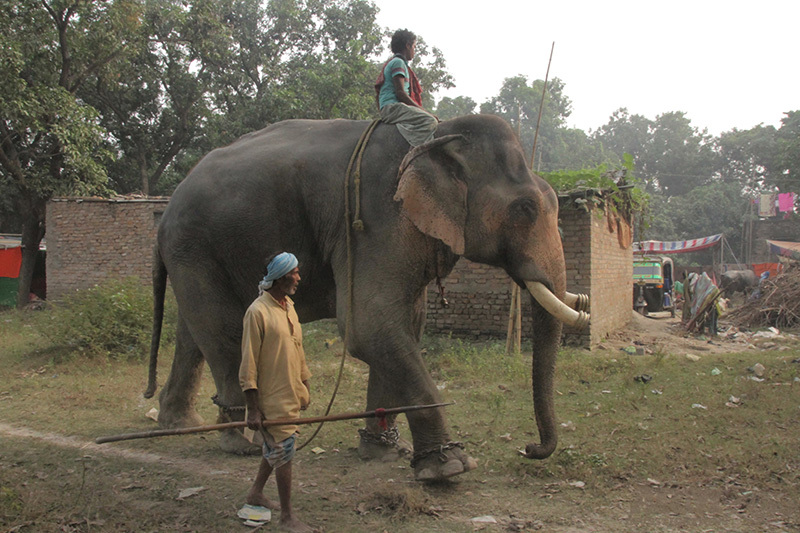 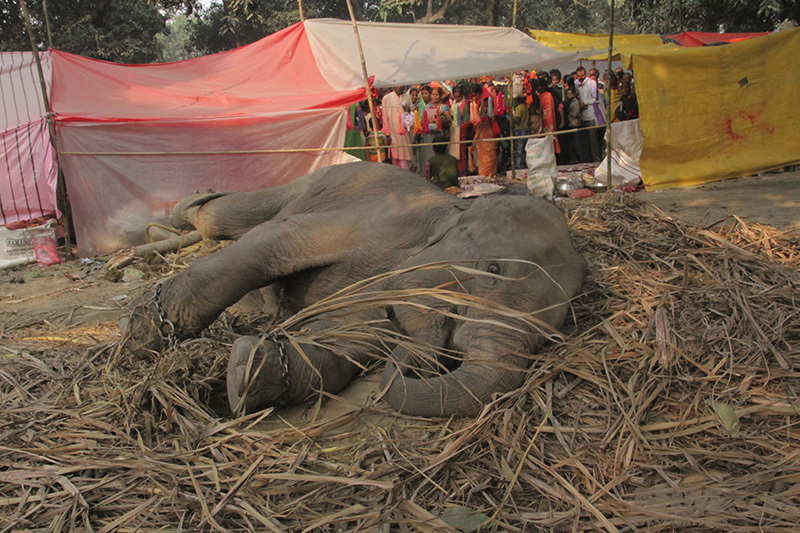 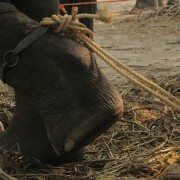 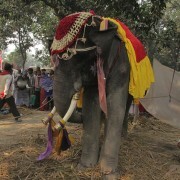 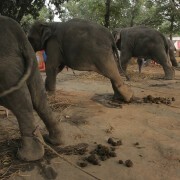 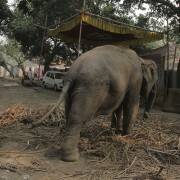 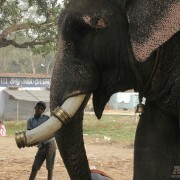 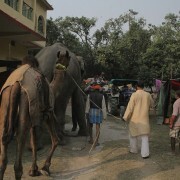 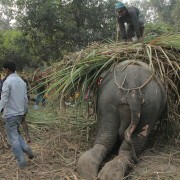 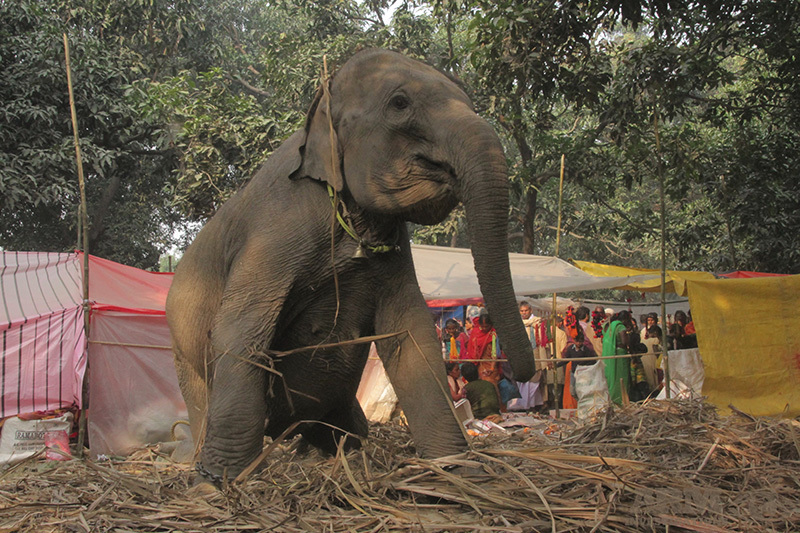 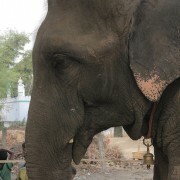 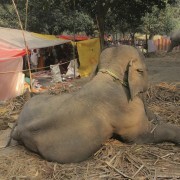 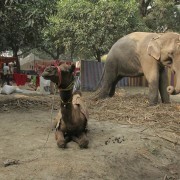 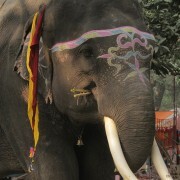 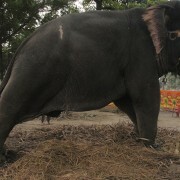 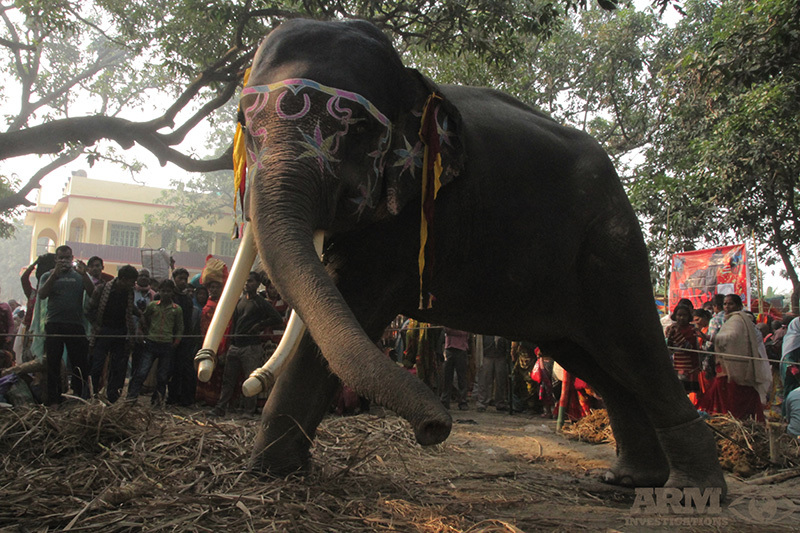 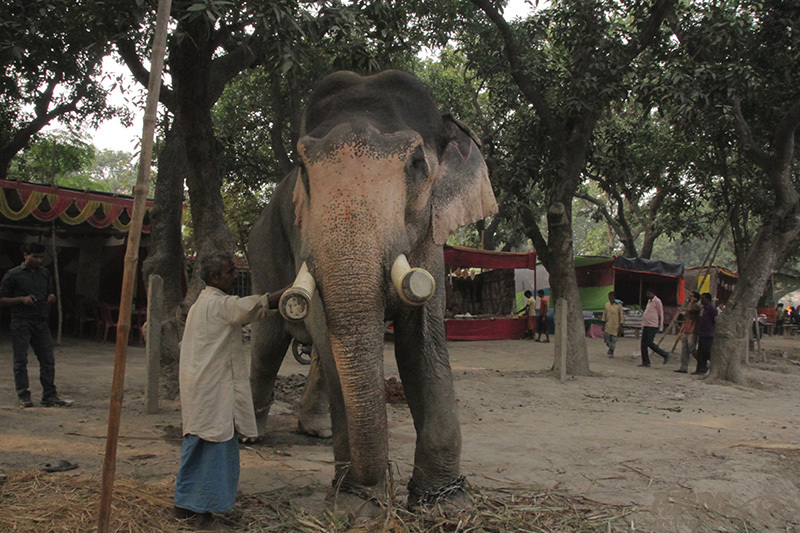 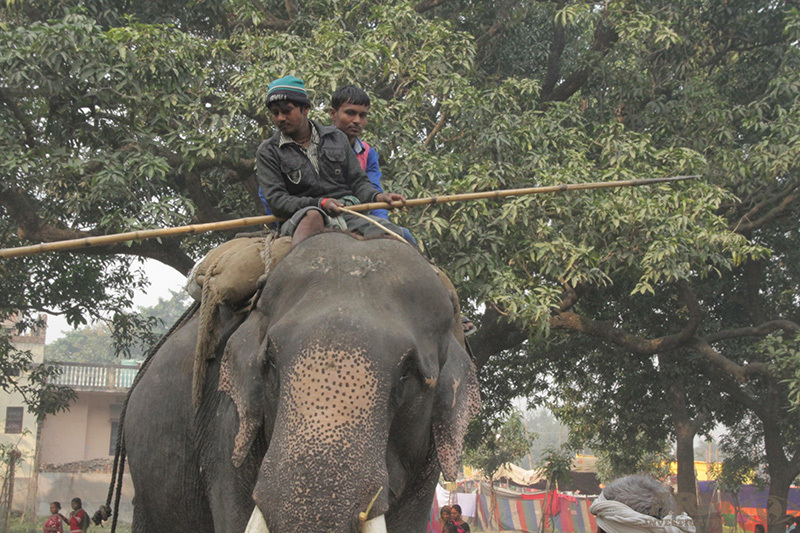 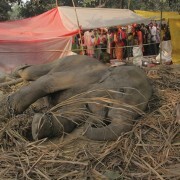 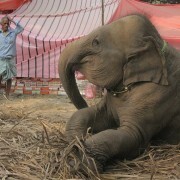 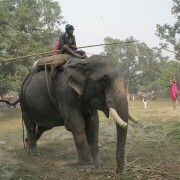 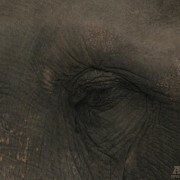 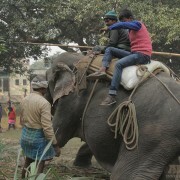 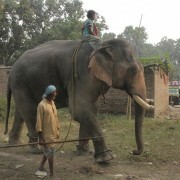 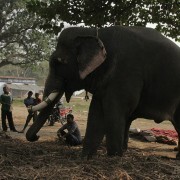 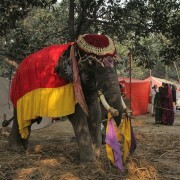 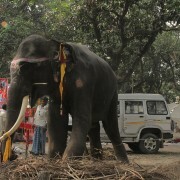 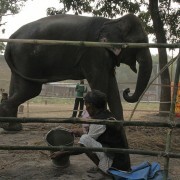 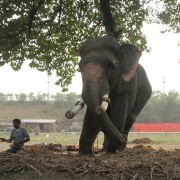 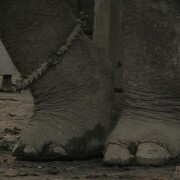 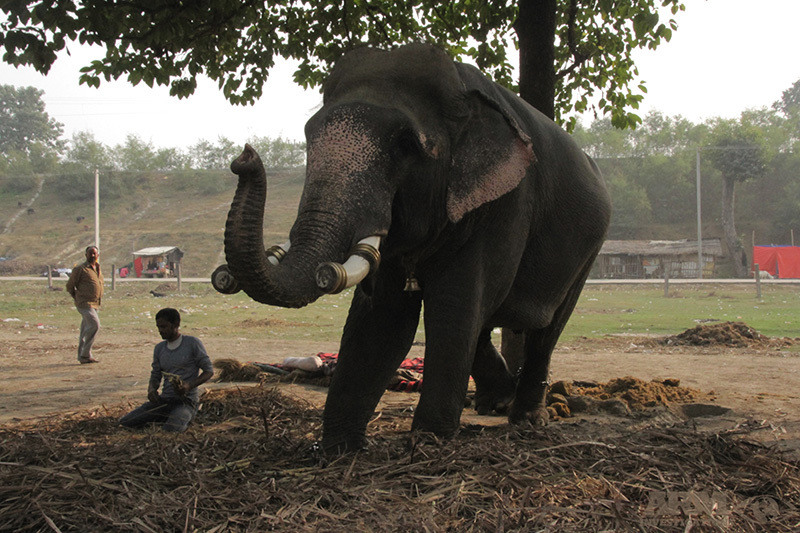 This gathering is the only one on India where such a large number of elephants are on display to be sold. 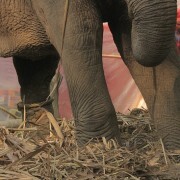 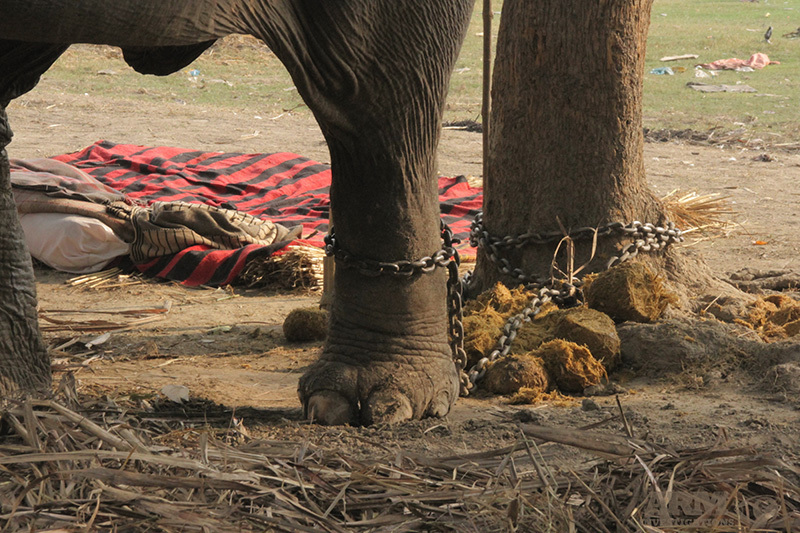 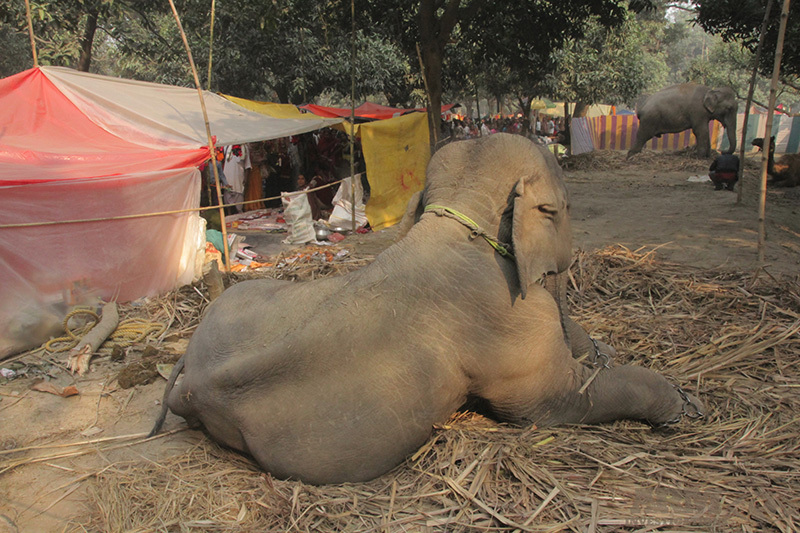 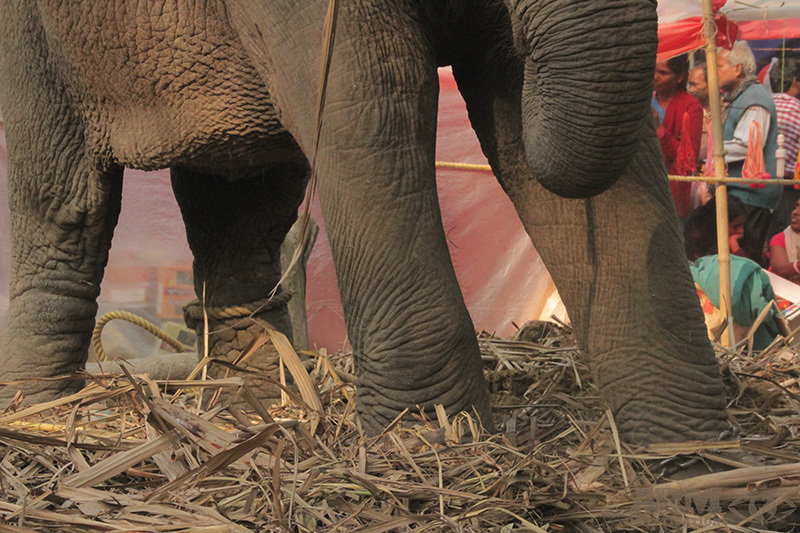 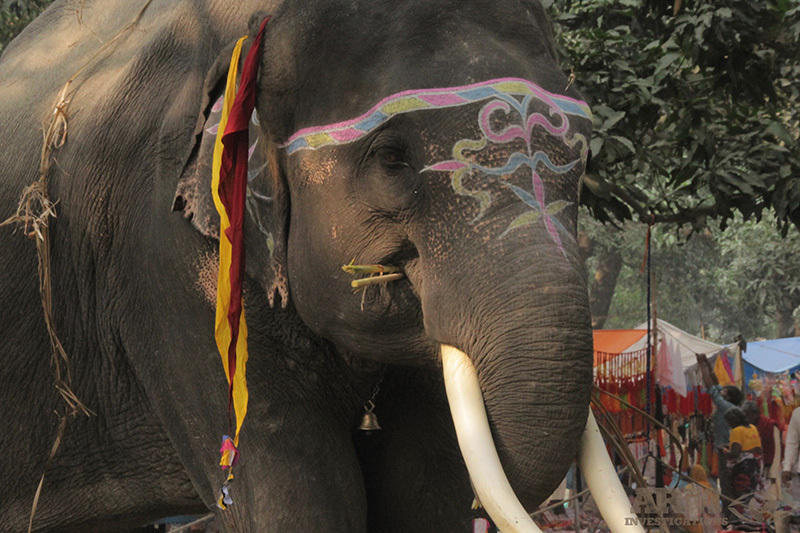 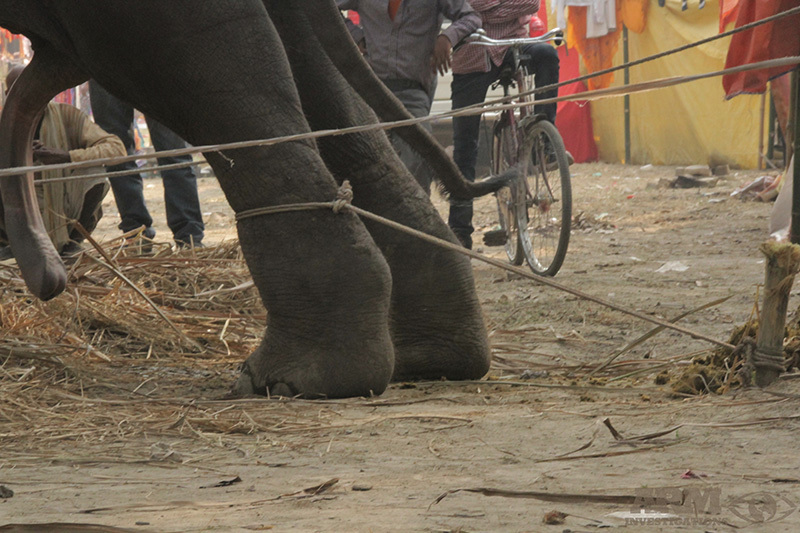 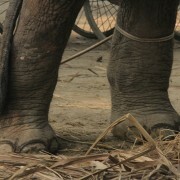 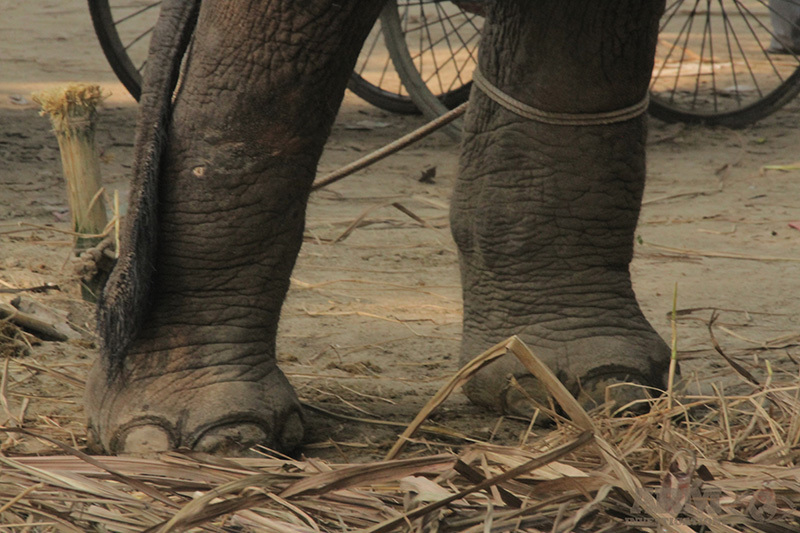 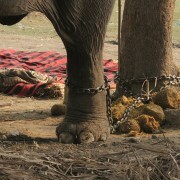 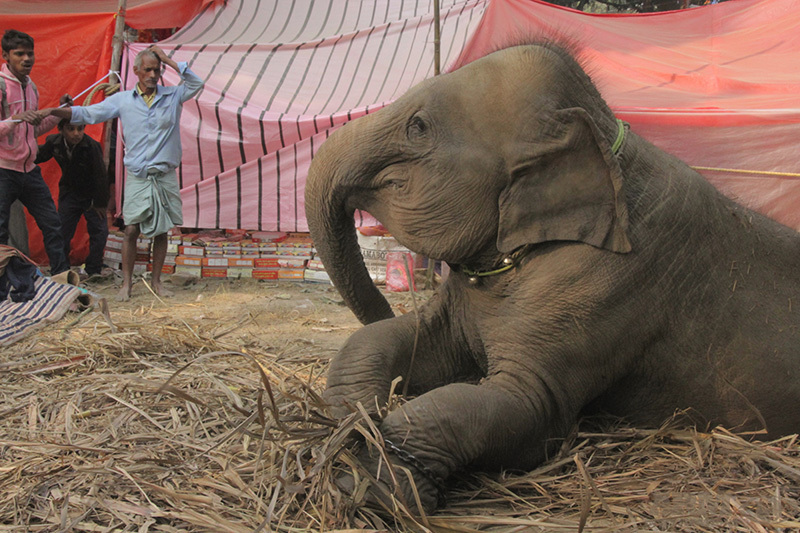 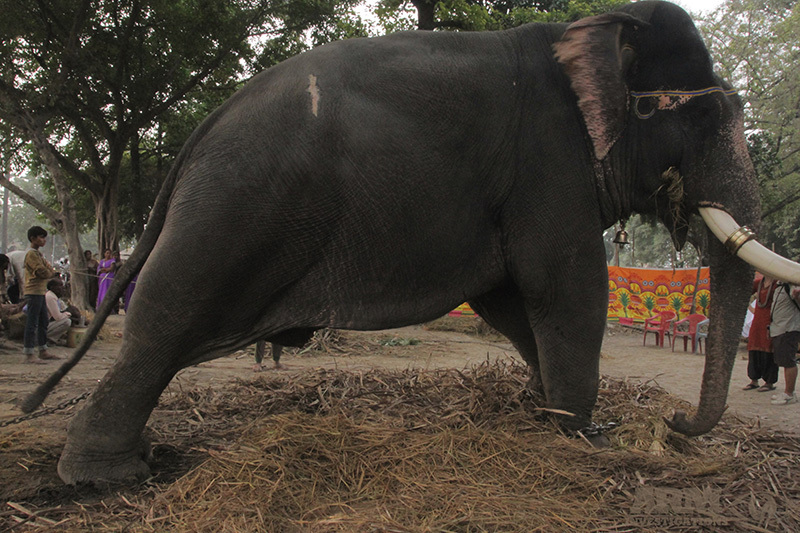 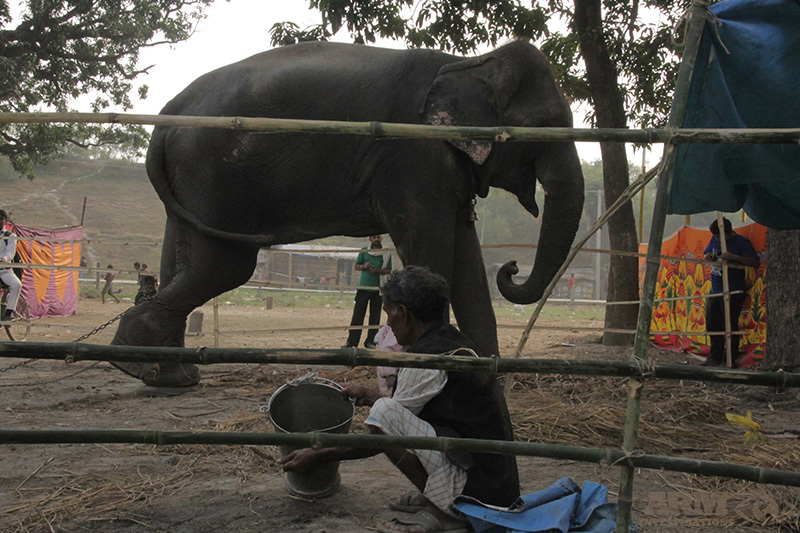 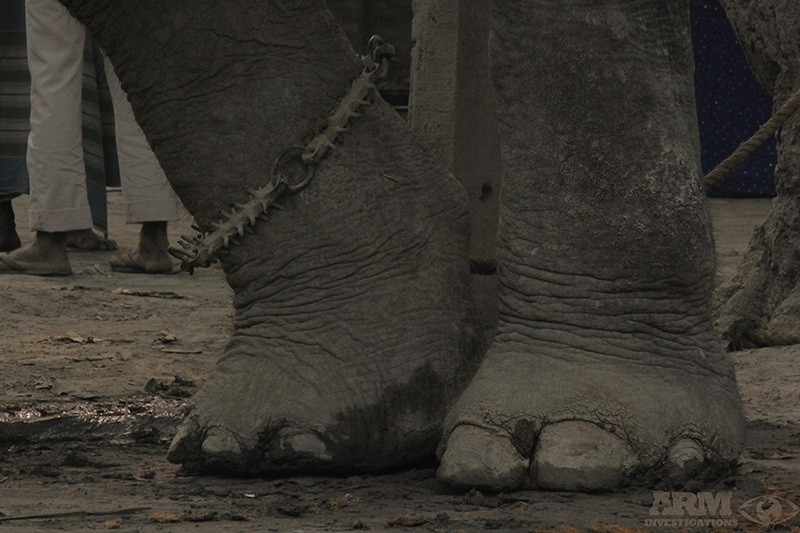 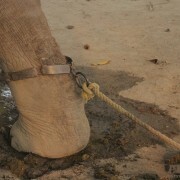 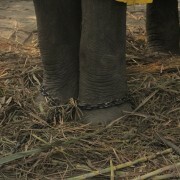 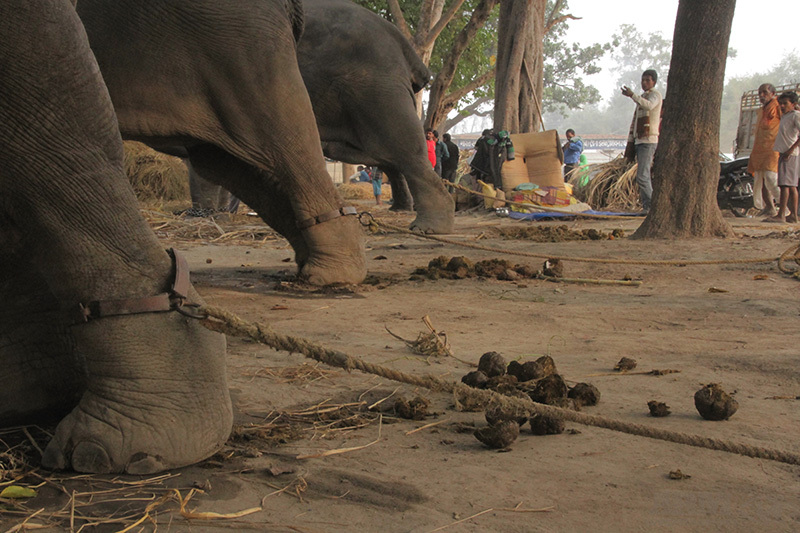 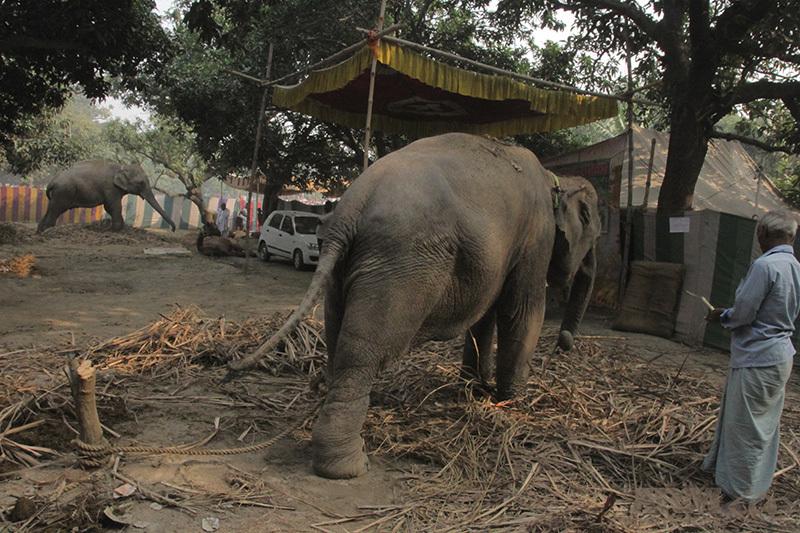 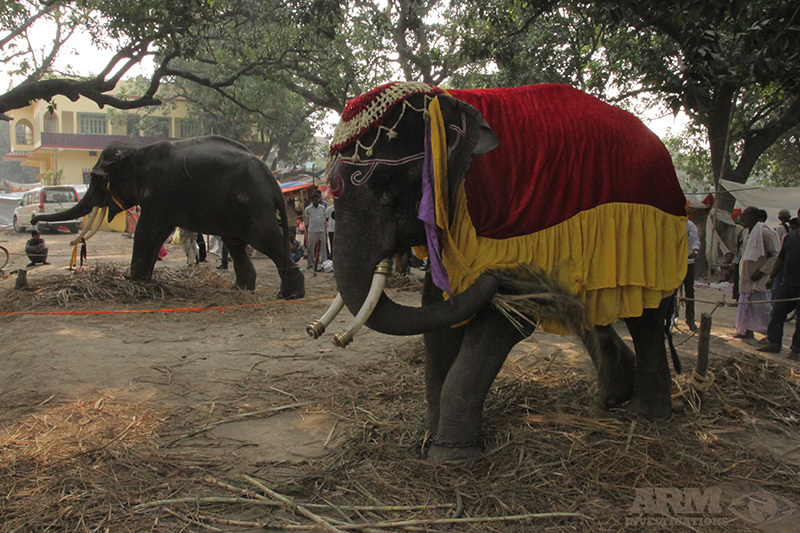 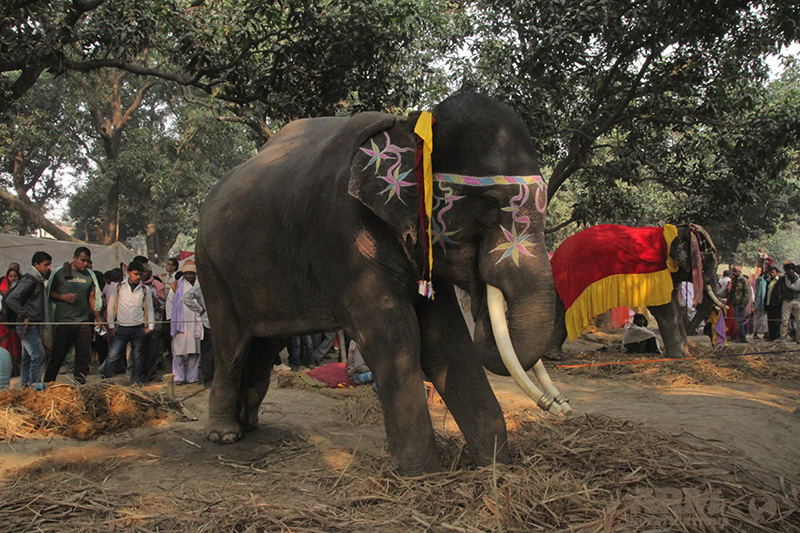 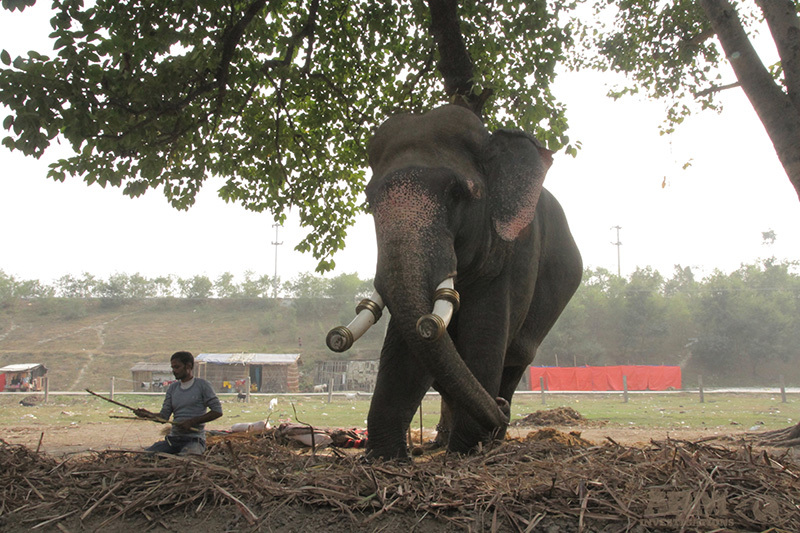 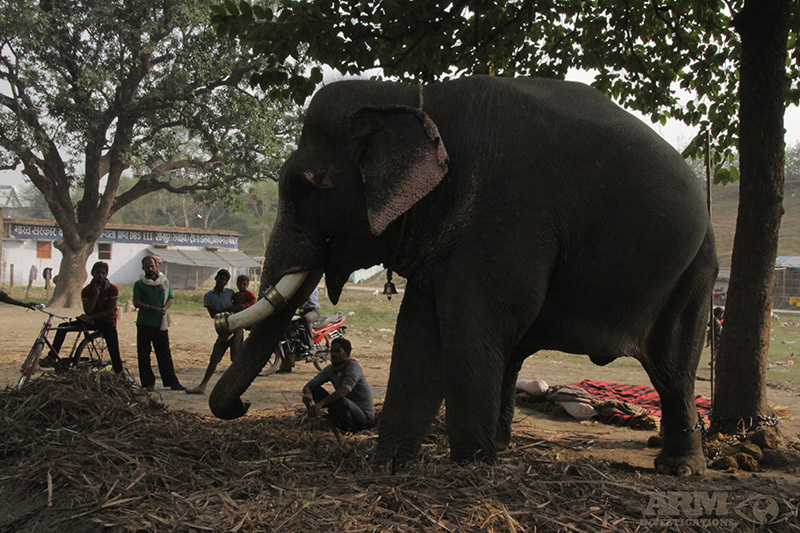 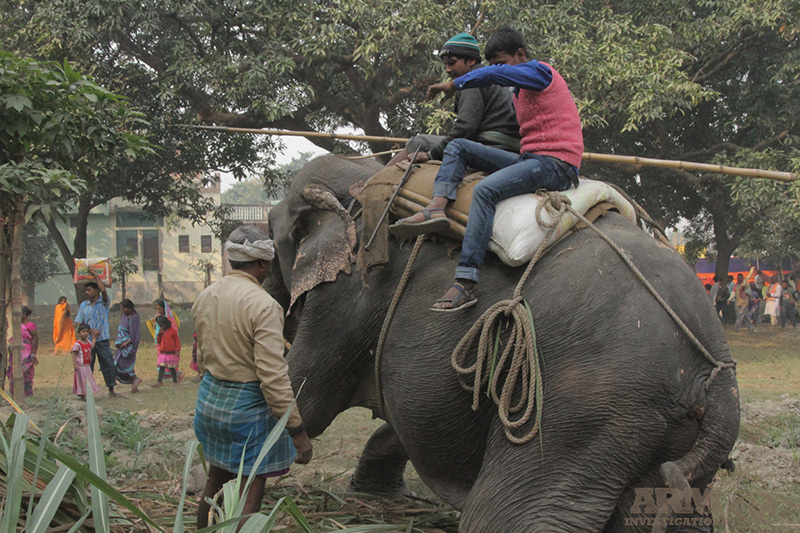 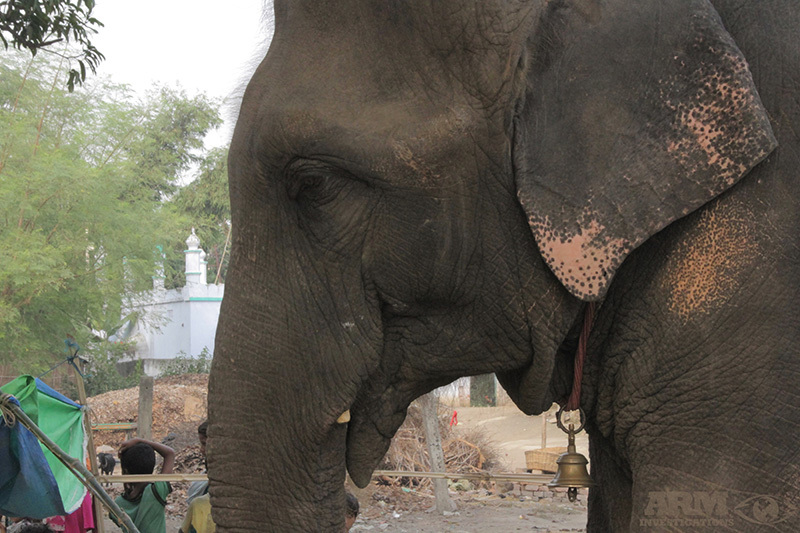 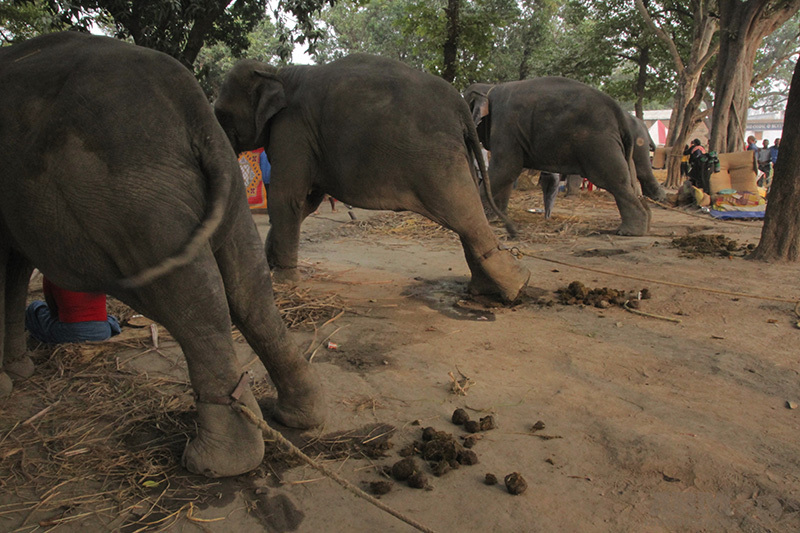 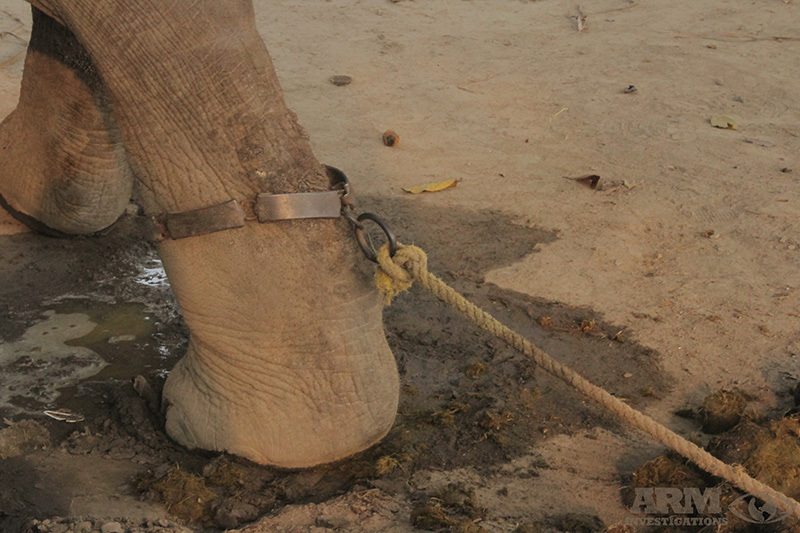 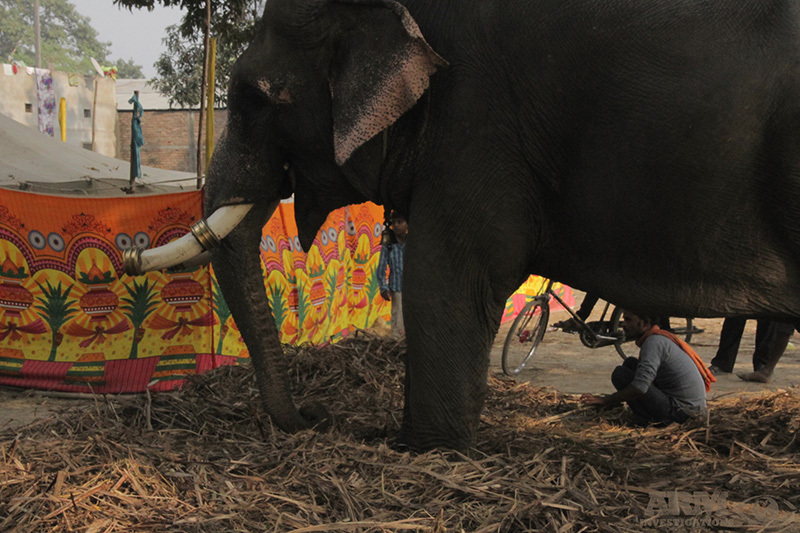 Fair-goers who captured and transported Asian Elephants to sell and trade at the fair are doing so without legal capability. 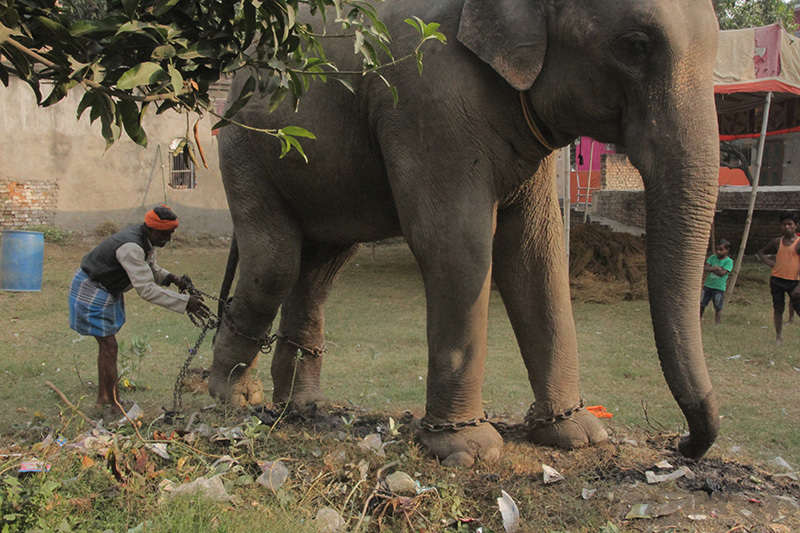 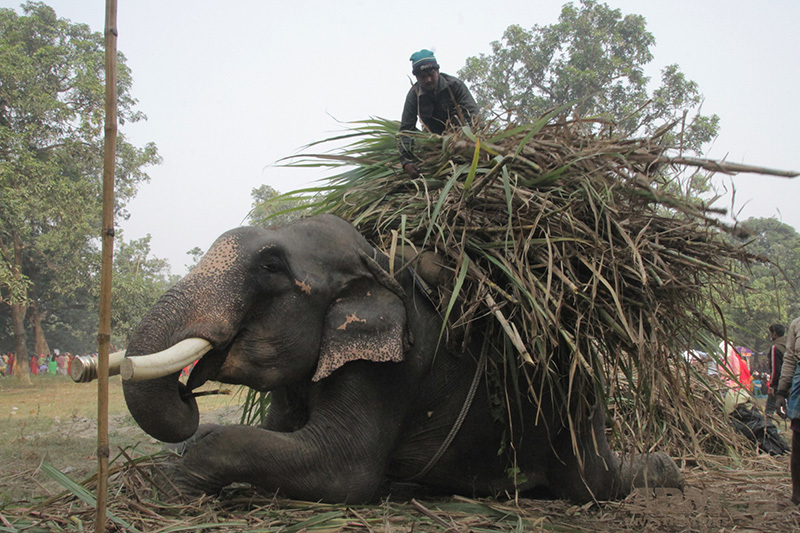 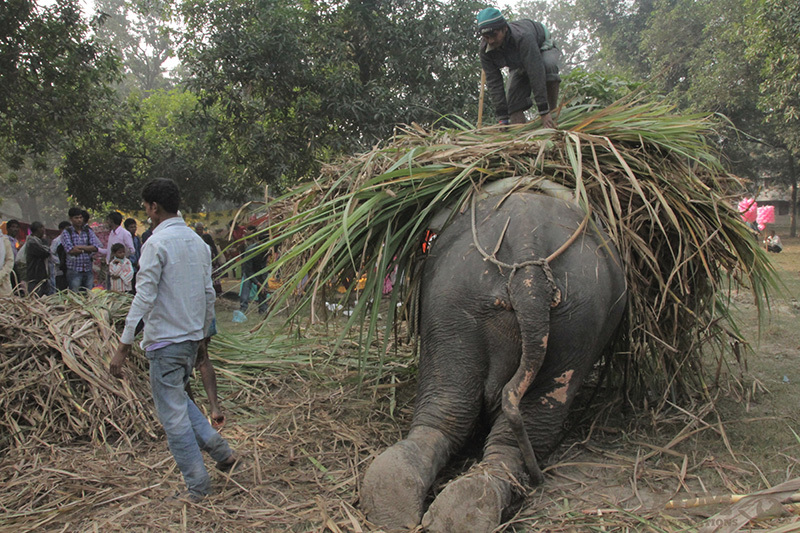 Acquiring, possessing, disposing of or transporting Asian Elephants without written permission of the Chief Wildlife Warden or the Authorized officer under Section 40 (2) of the Wildlife Protection Act, 1972 is not permitted. 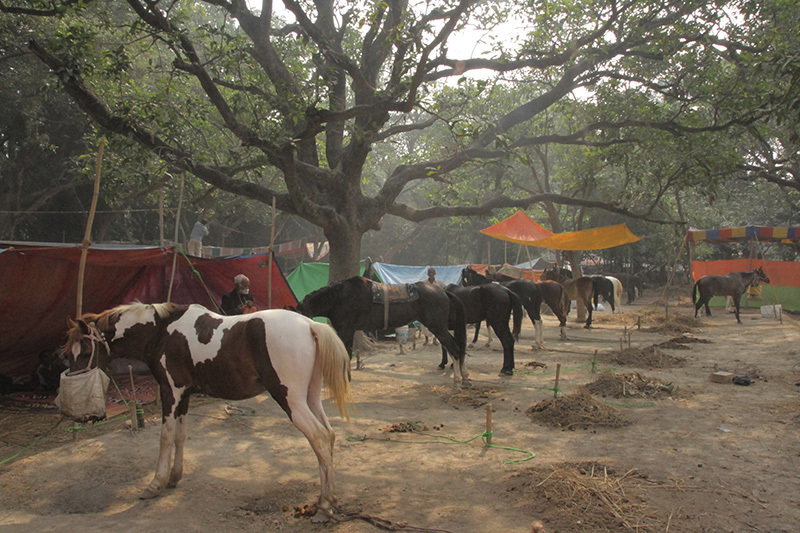 It is however, being done at this fair despite the clarity of legal provisions. 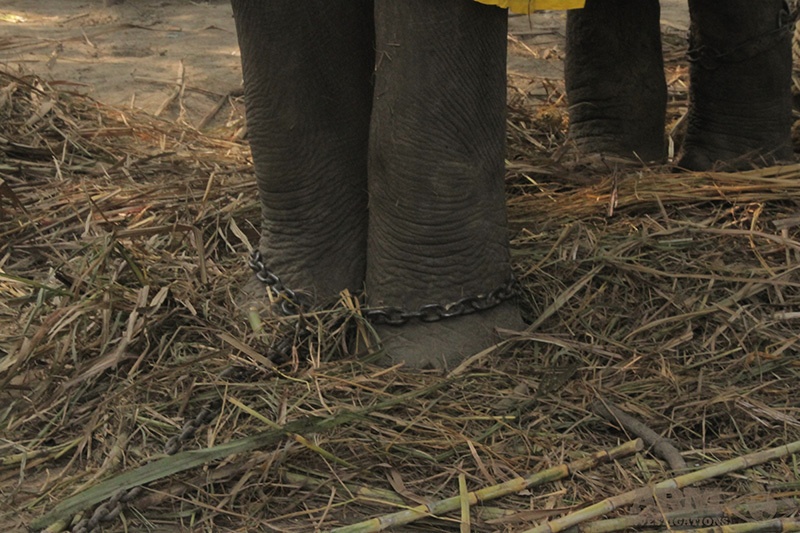 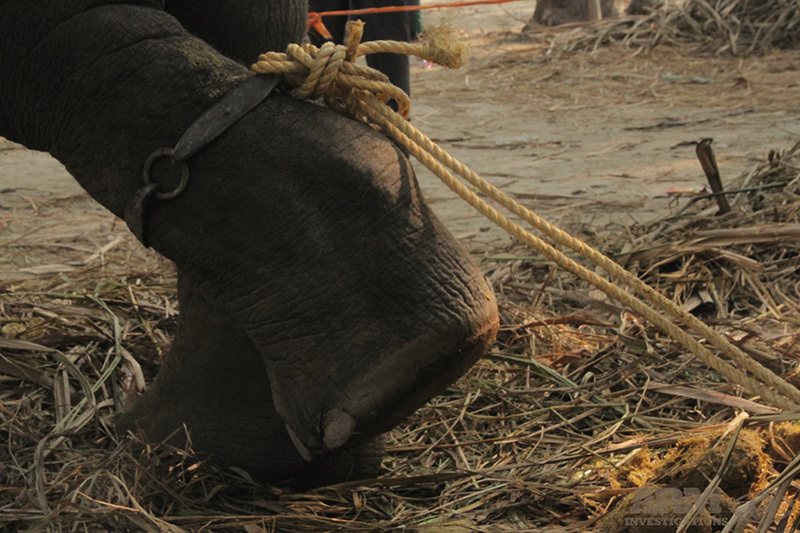 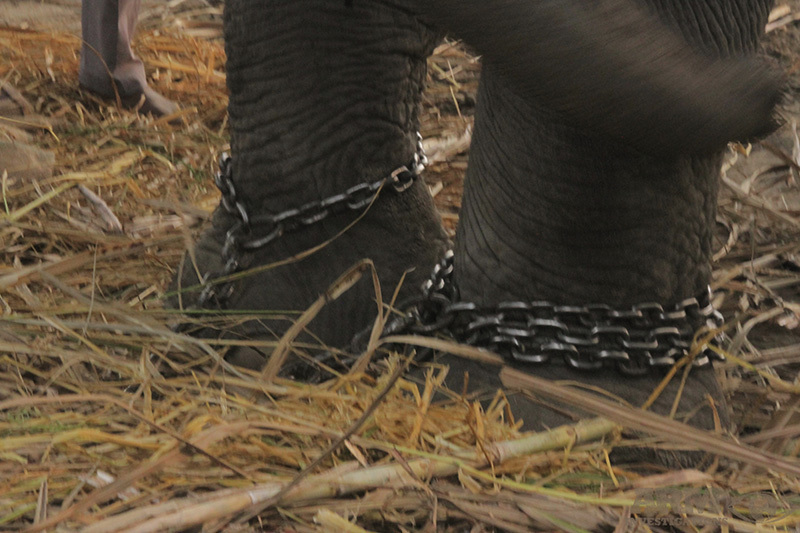 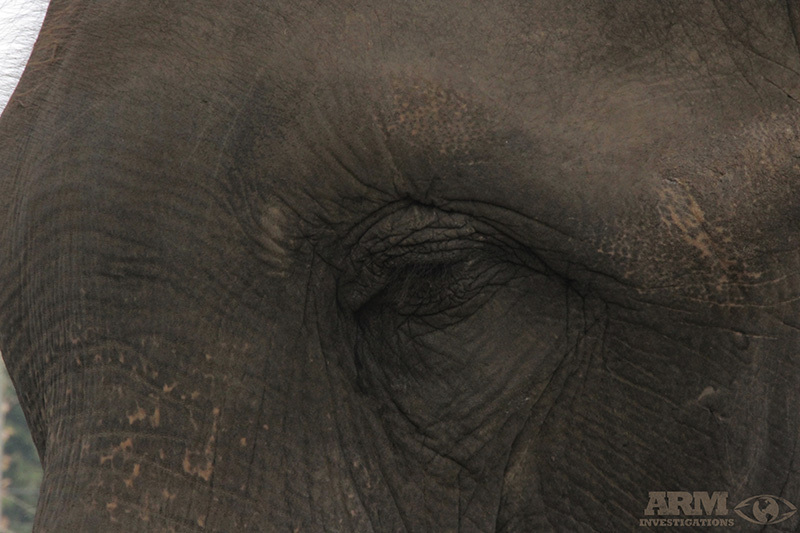 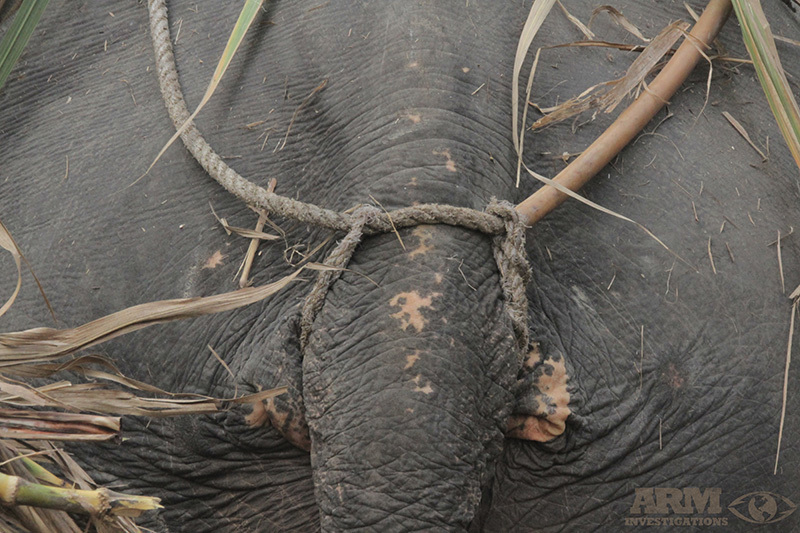 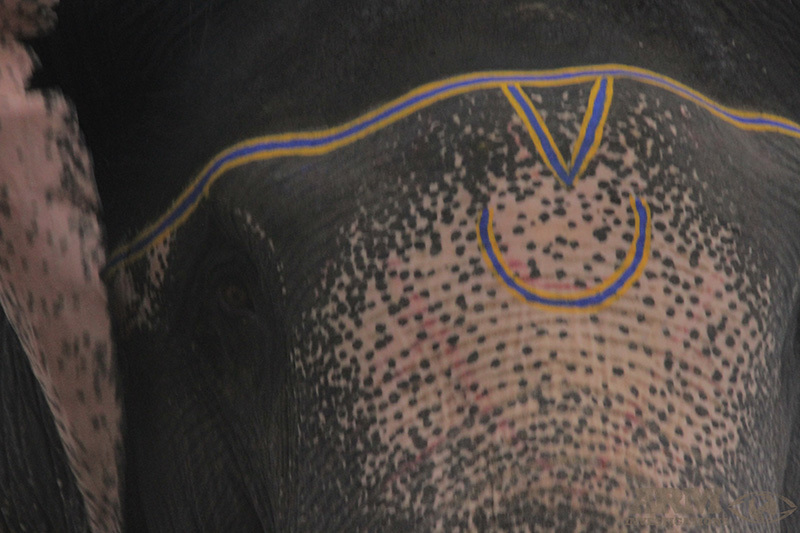 As well, under this act, Section 43 restricts the sale, purchase or transfers of captive elephants from one person to another for monetary consideration or any other profitable gain. 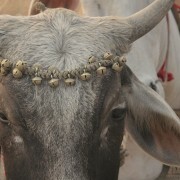 Bull, horse and bird sales though still thrive throughout markets and accumulate high profits as well. 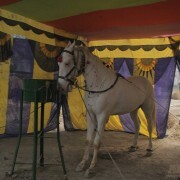 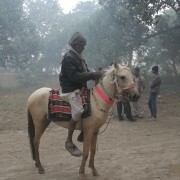 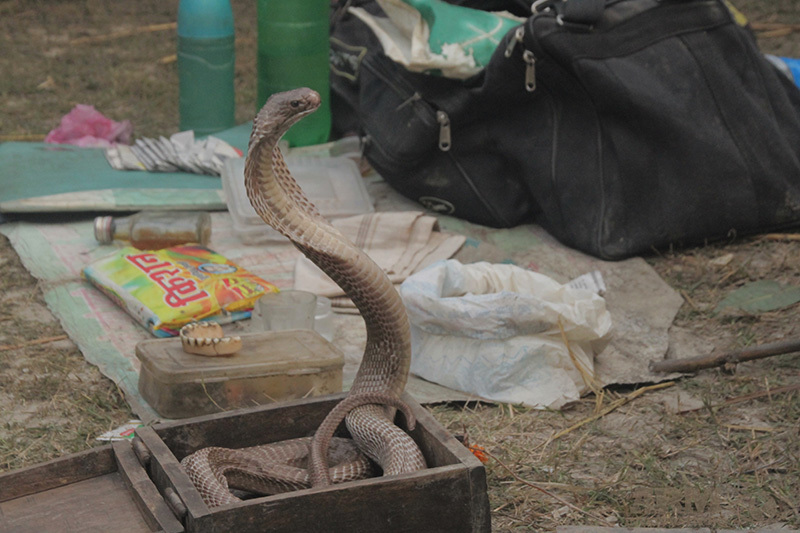 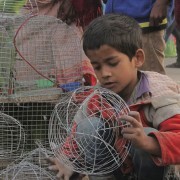 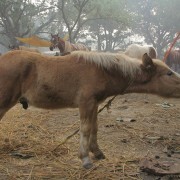 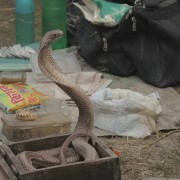 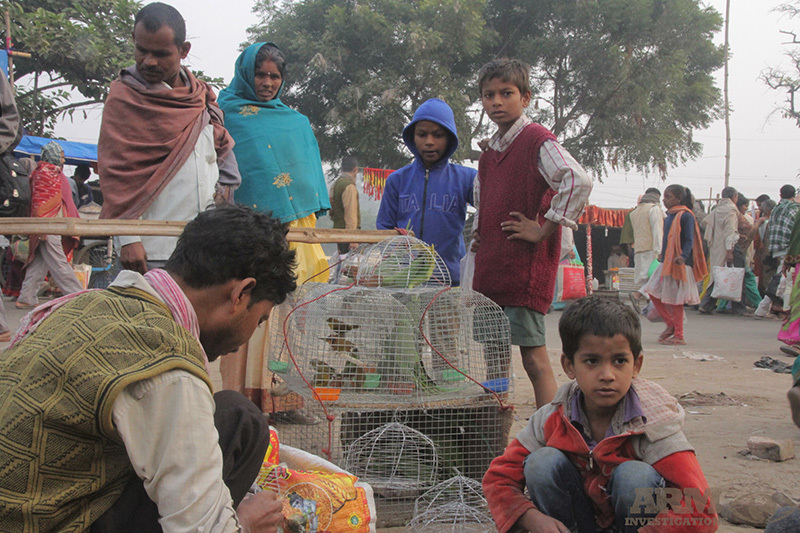 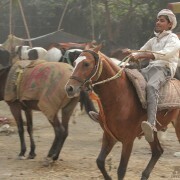 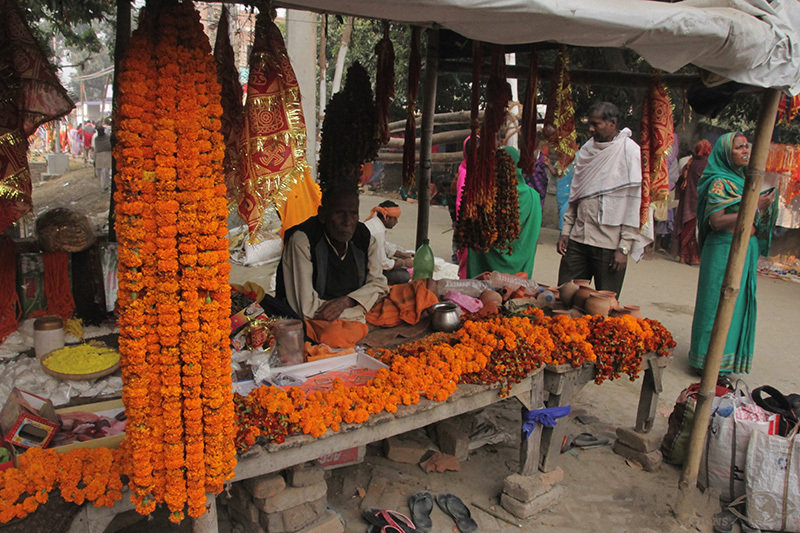 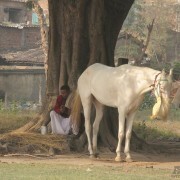 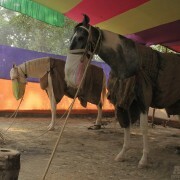 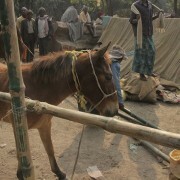 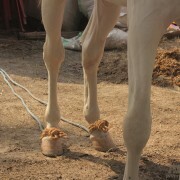 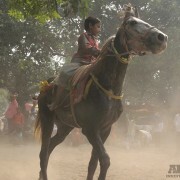 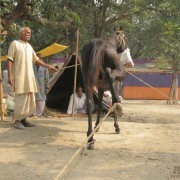 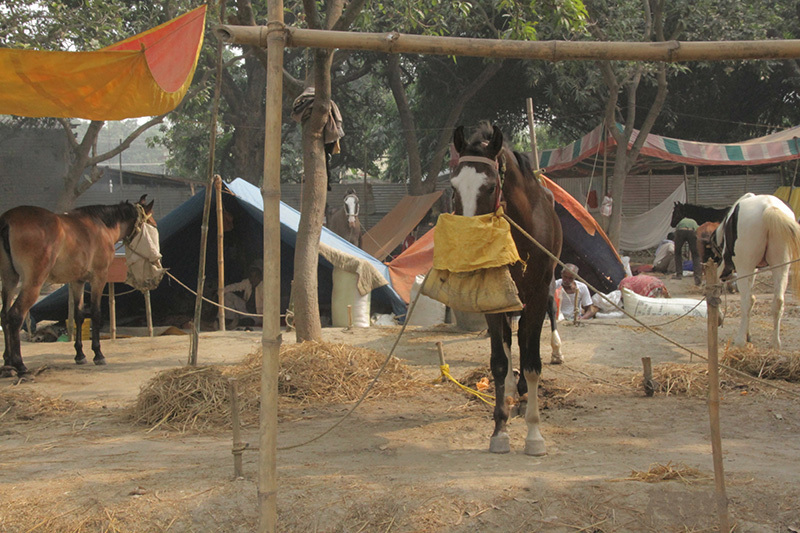 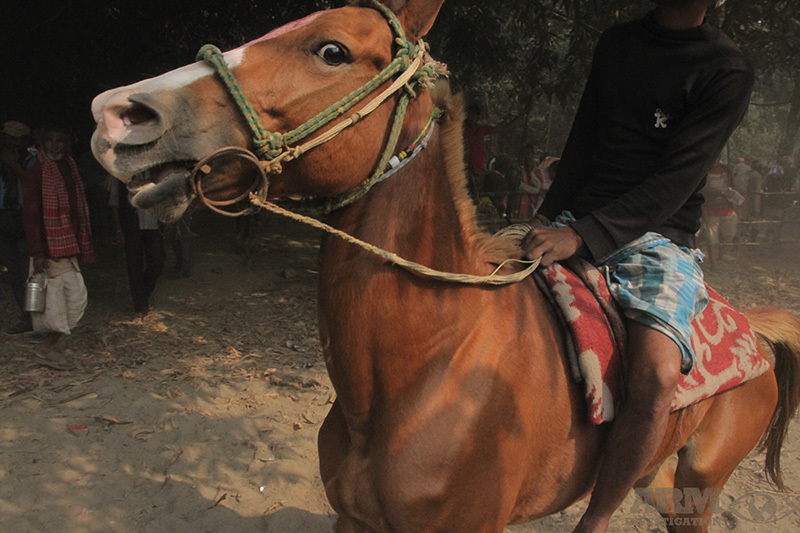 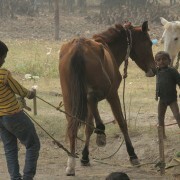 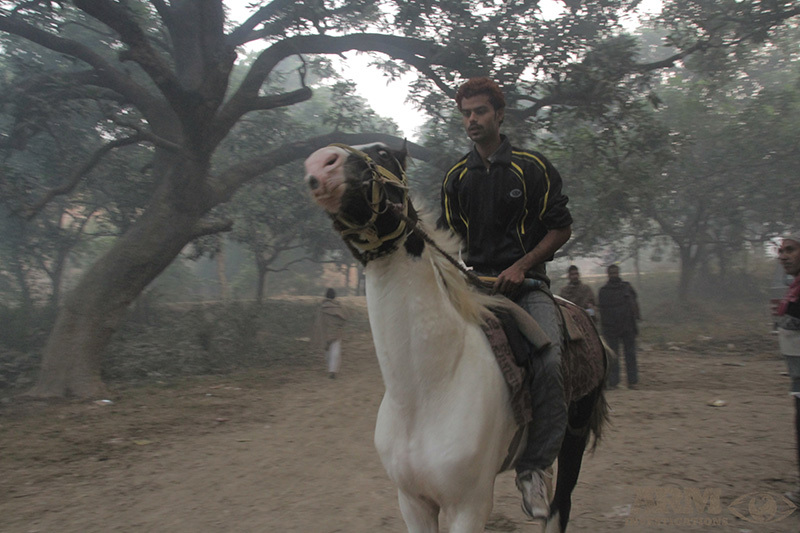 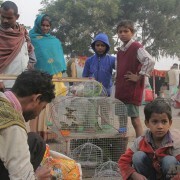 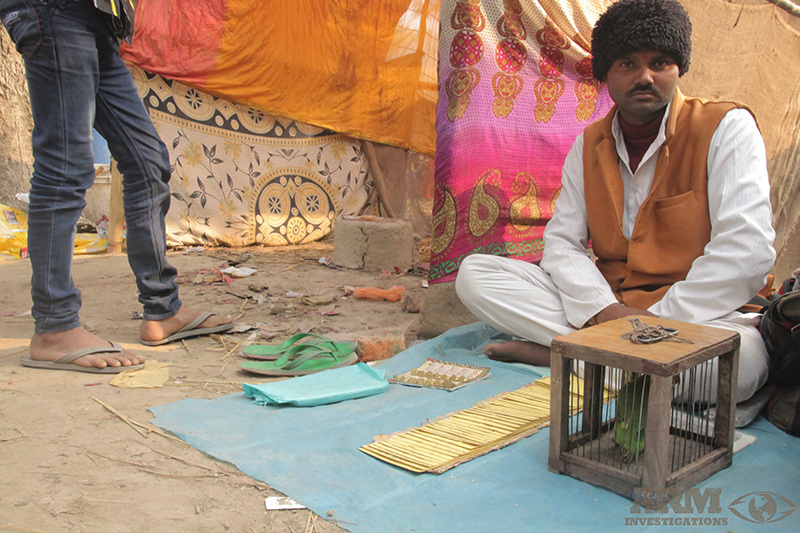 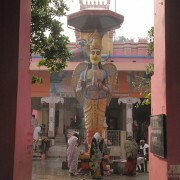 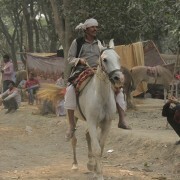 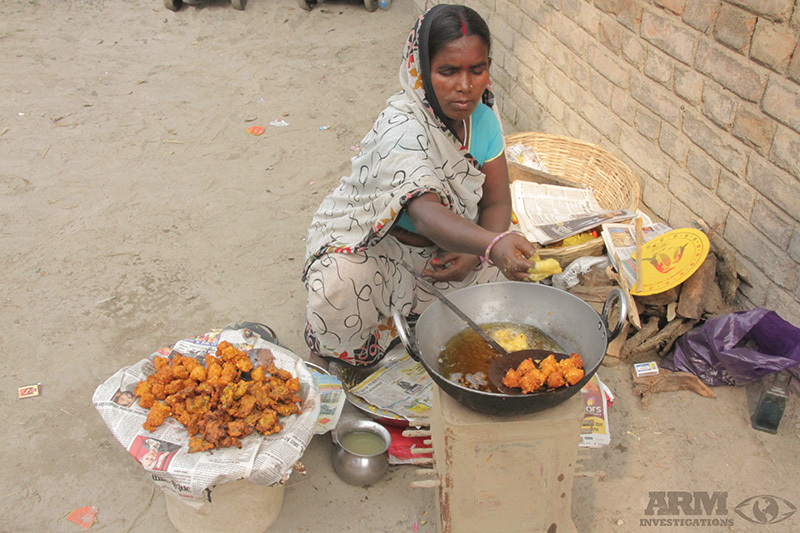 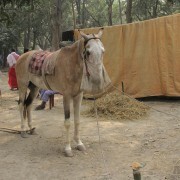 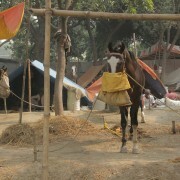 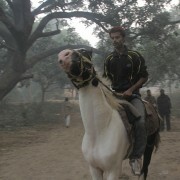 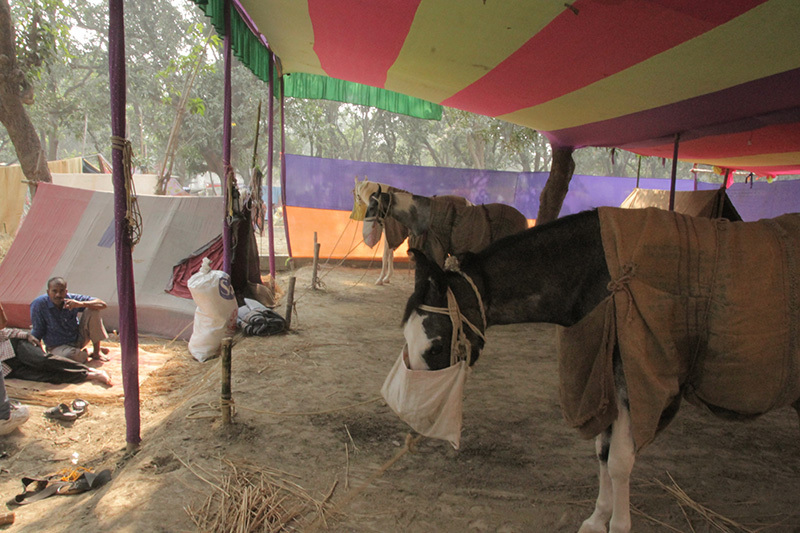 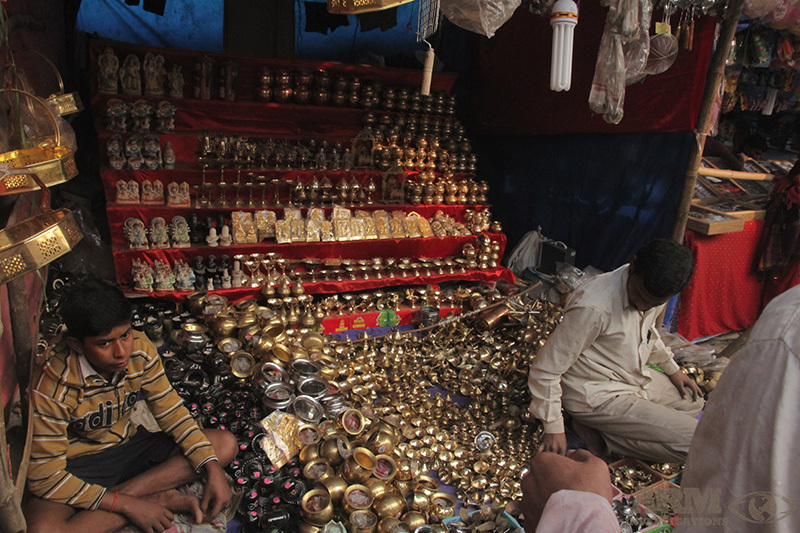 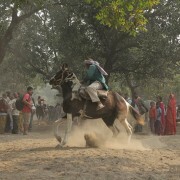 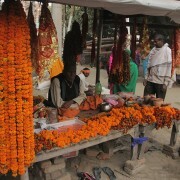 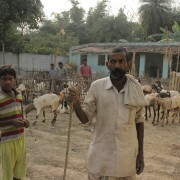 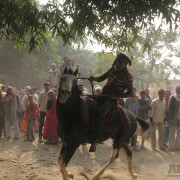 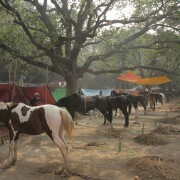 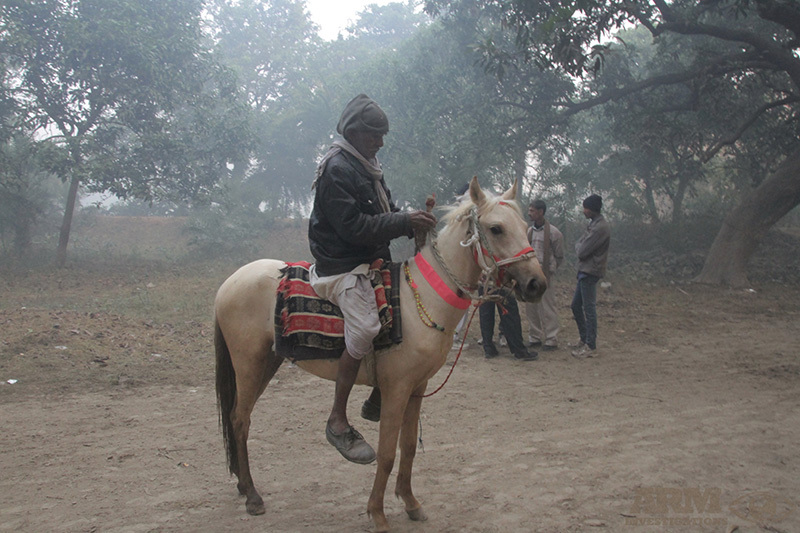 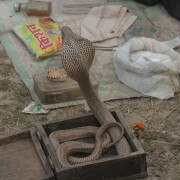 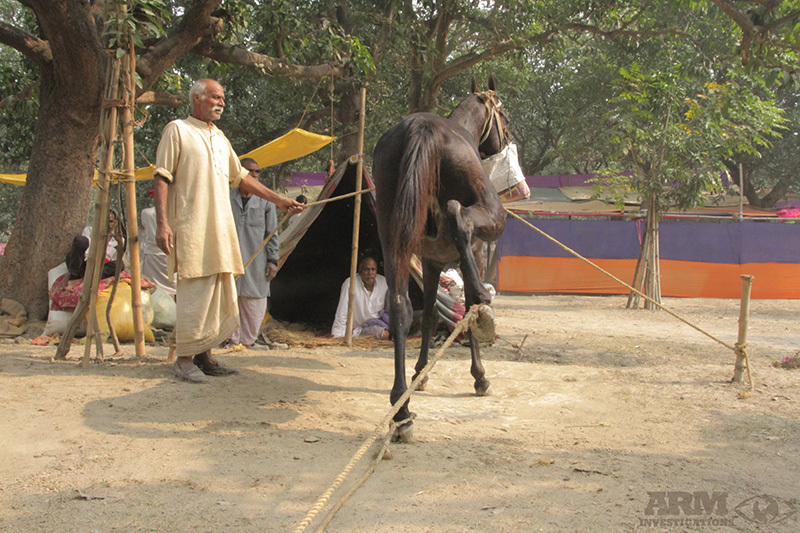 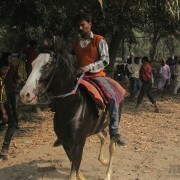 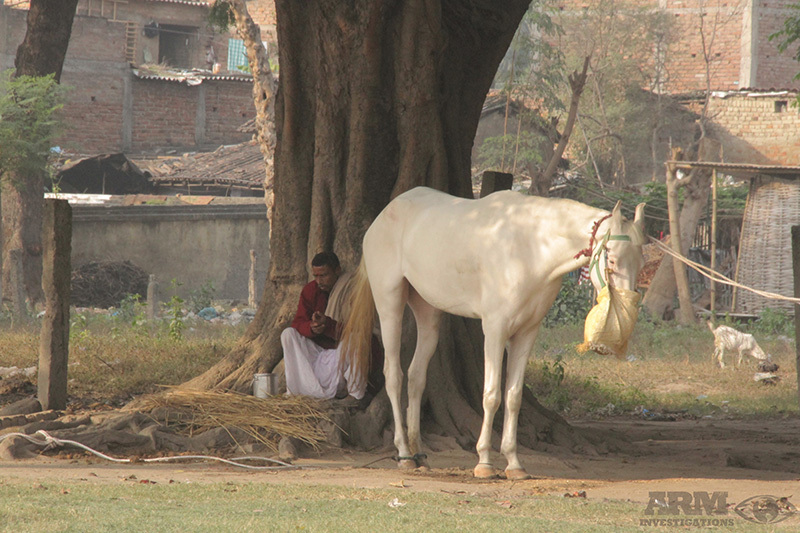 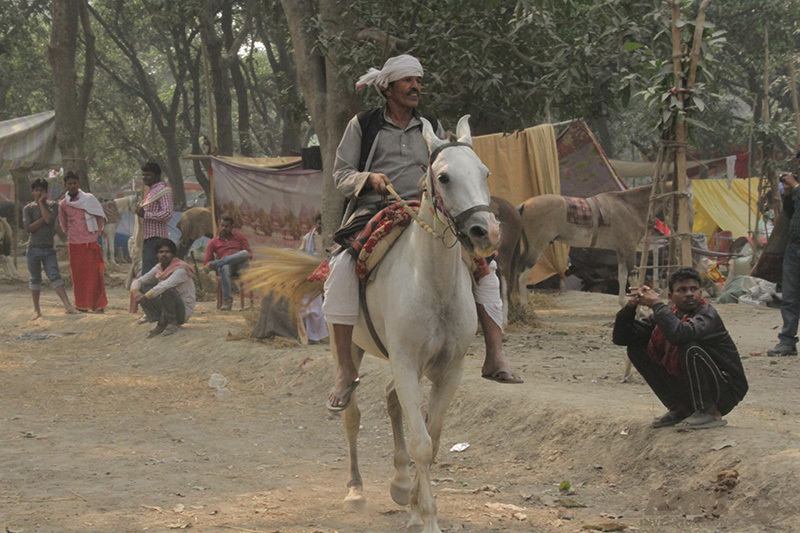 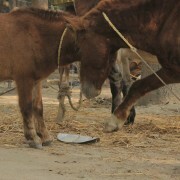 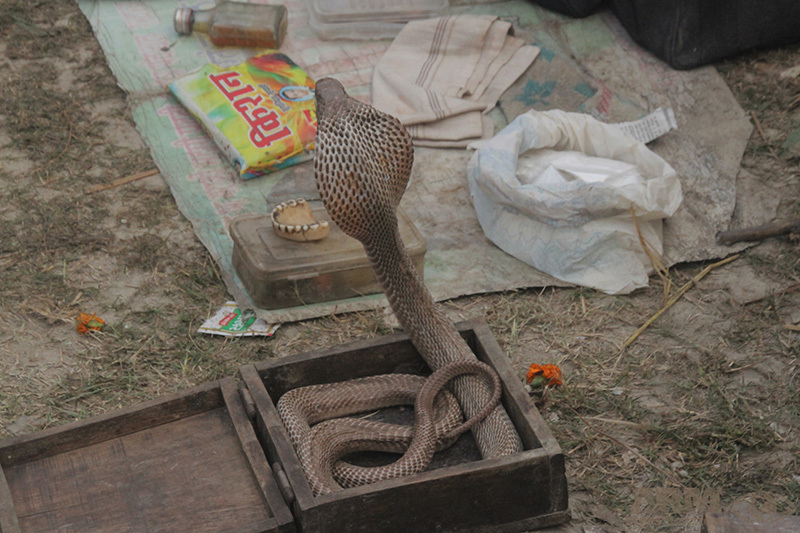 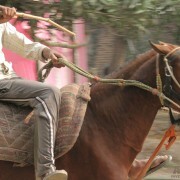 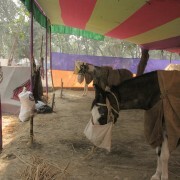 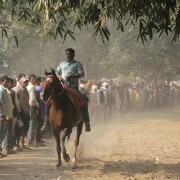 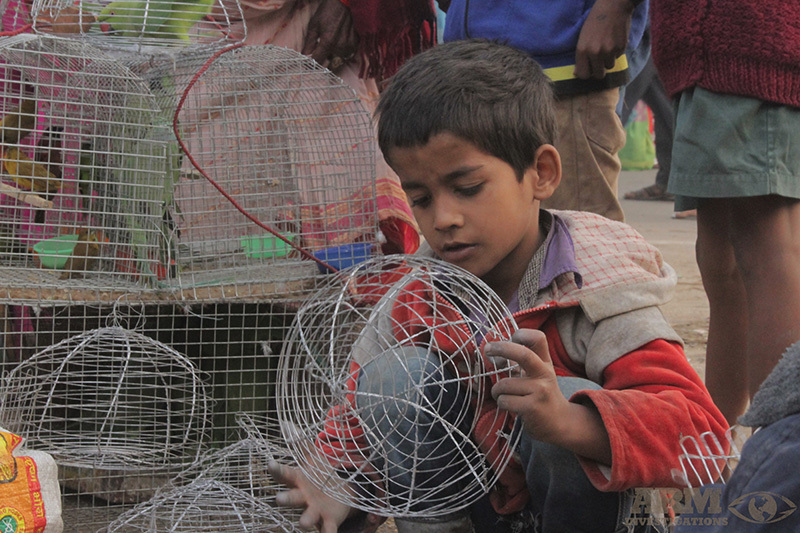 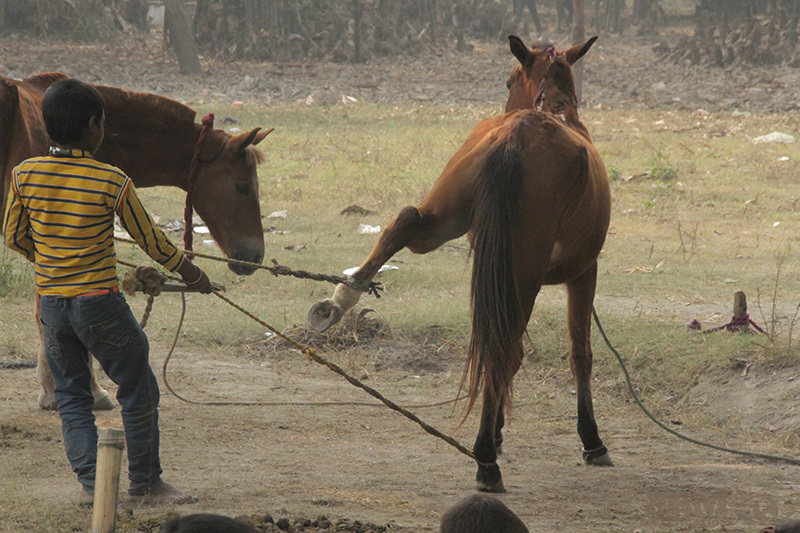 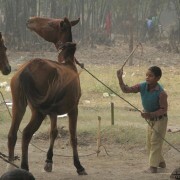 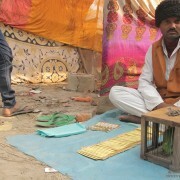 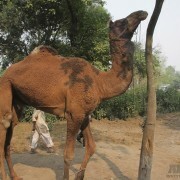 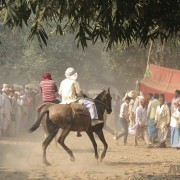 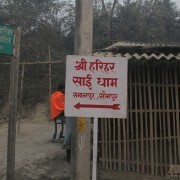 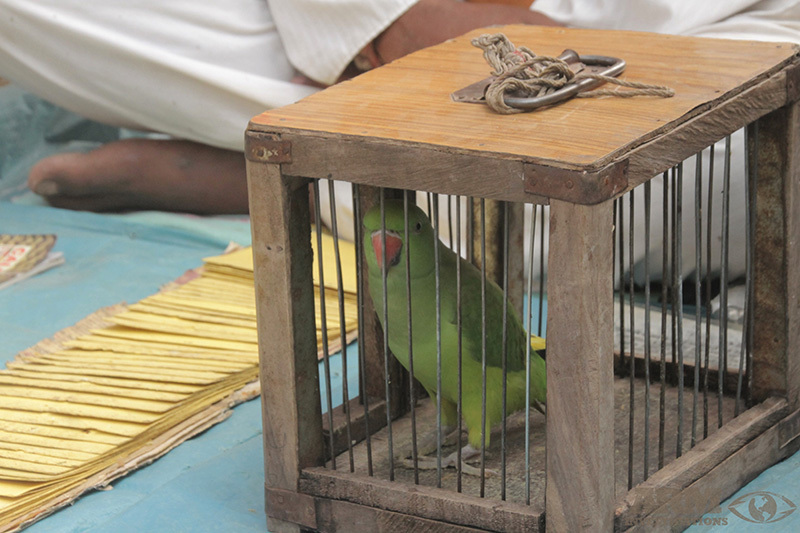 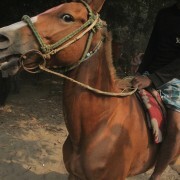 Sonepur Mela is also widely known for its bird markets and trade or Chiriya Bazaar. 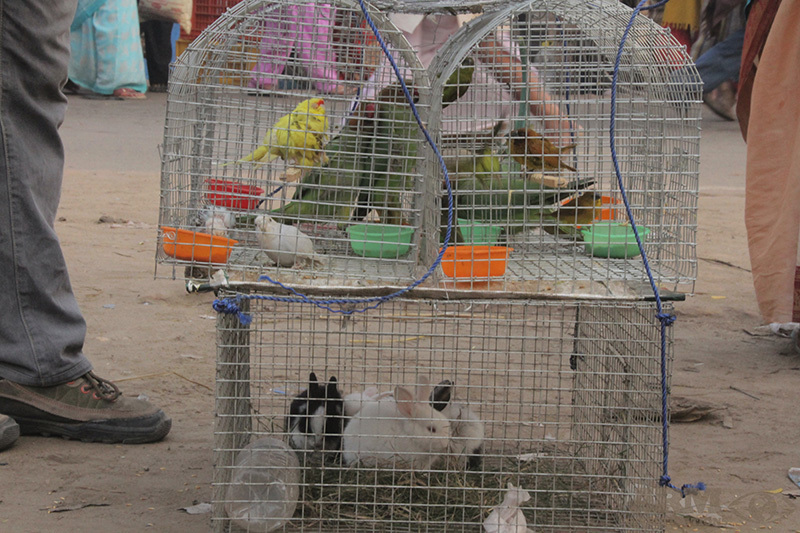 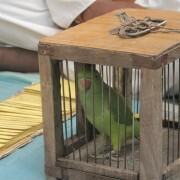 Many birds sold in these markets are exotic or indigenous birds. 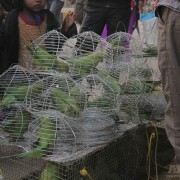 Native birds on sale are suspected to be a protected species that have been caught in the wild and brought to the markets by people of India without legal permission. 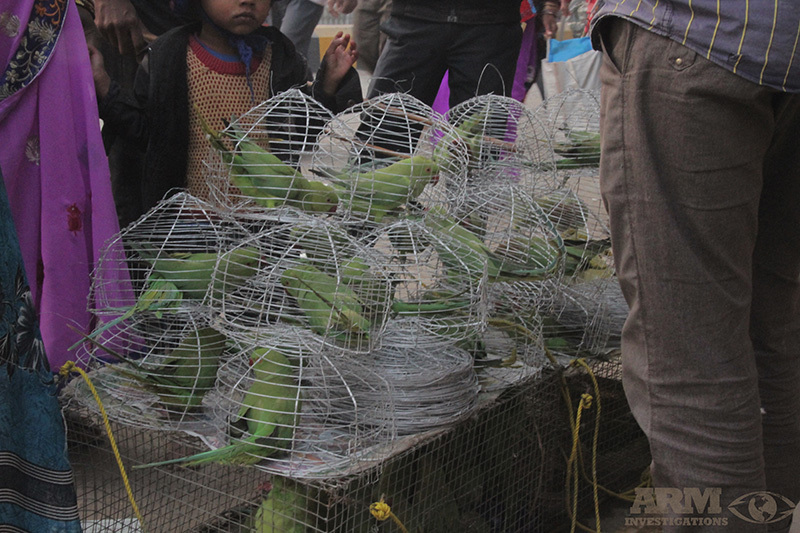 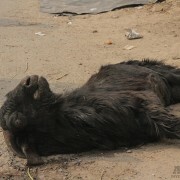 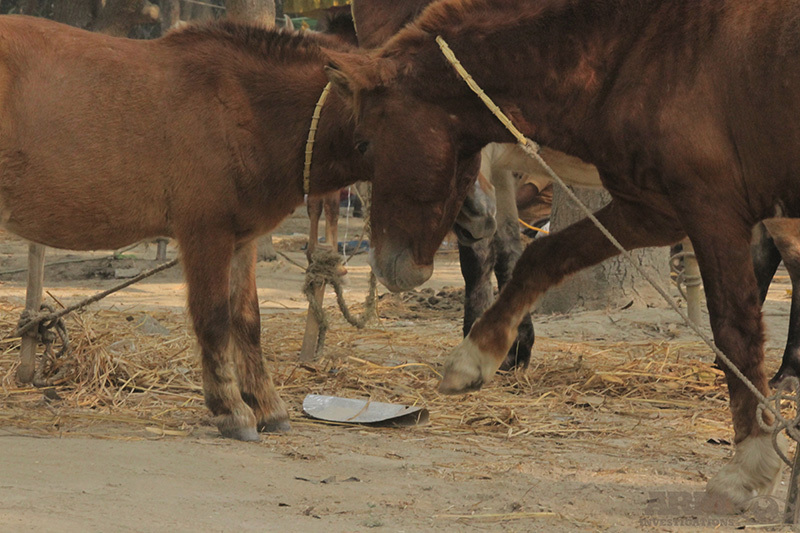 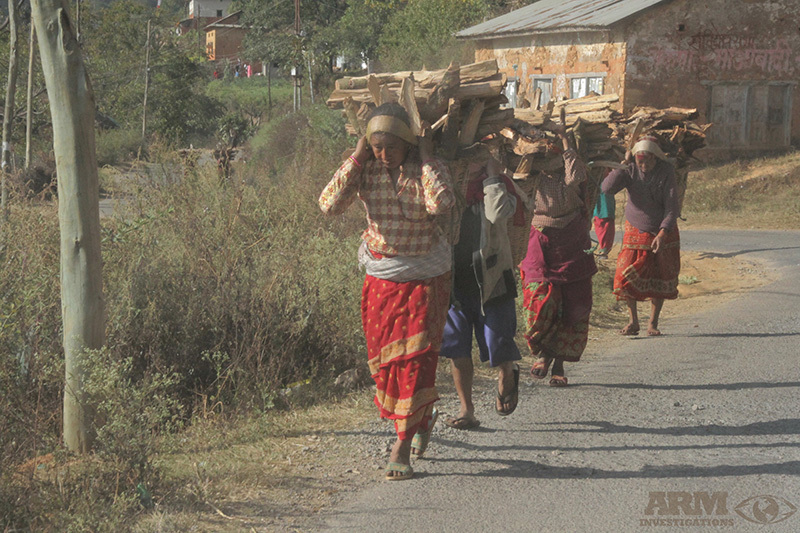 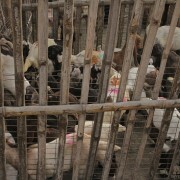 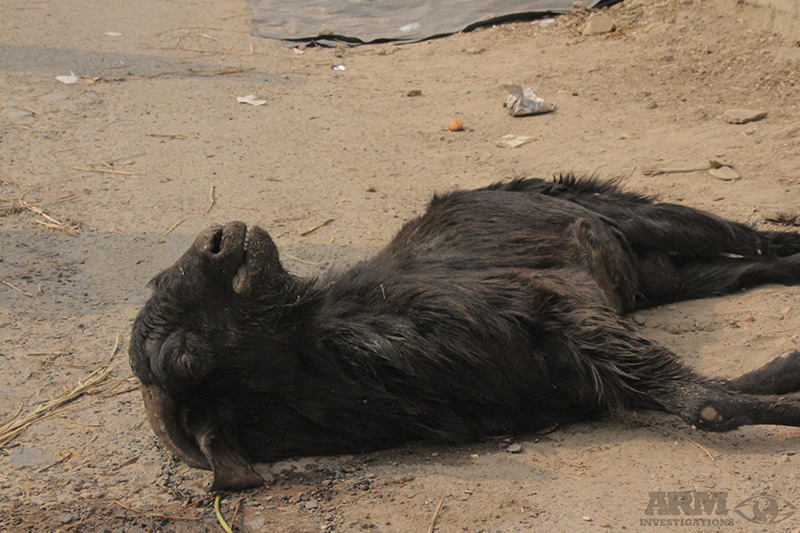 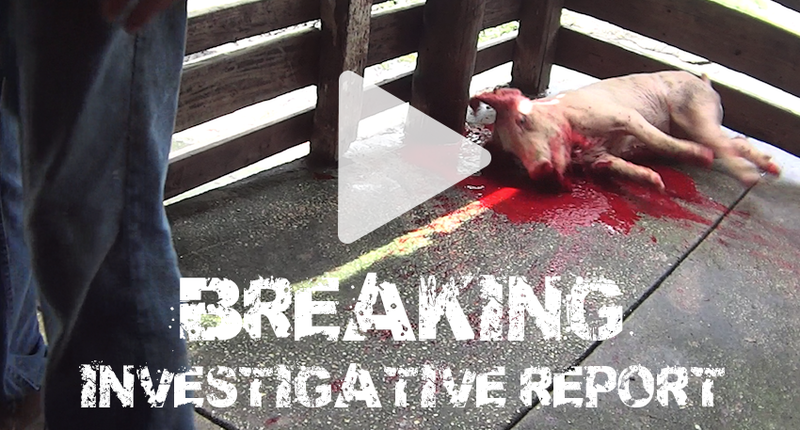 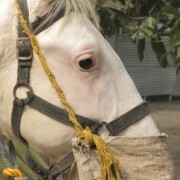 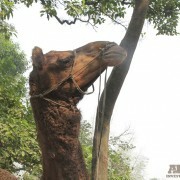 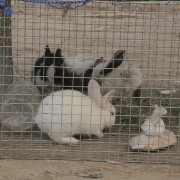 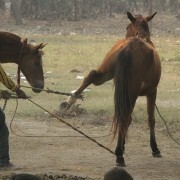 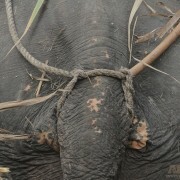 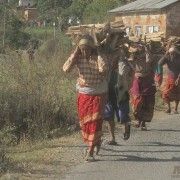 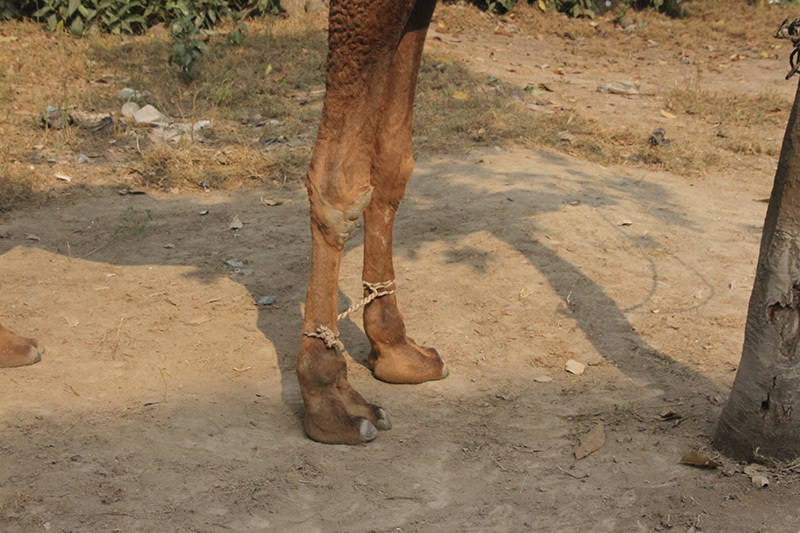 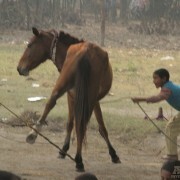 Besides the trade and illegal sales of animals including wildlife, various goods are also sold and traded. 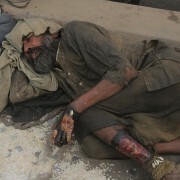 These include clothing, food, beauty products, electronics, and cars. 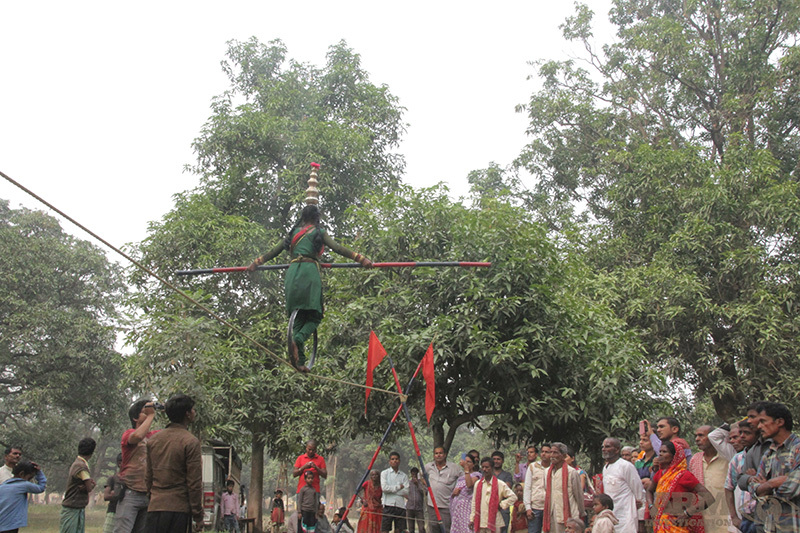 The festival also provides attendees plenty of entertainment and commercial activities. 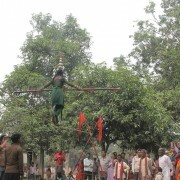 Attractions such as ferris wheels and rides, circus events, performances, and stunt rides performed by men riding motorcycles and cars inside of an arena called the “Well of Death” which is an enclosed circular stadium where they practice dangerous stunts along the walls of the “Well”.